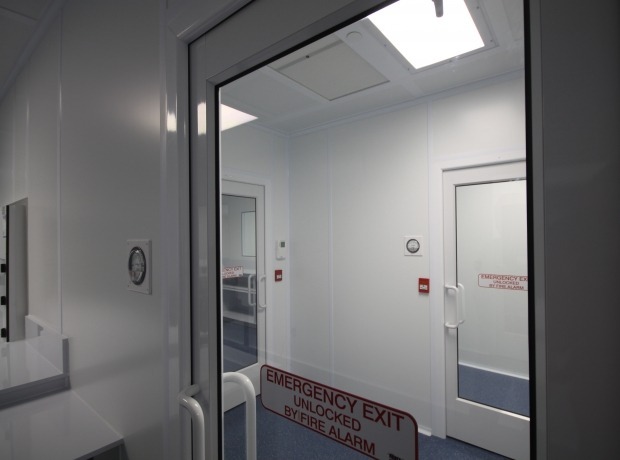 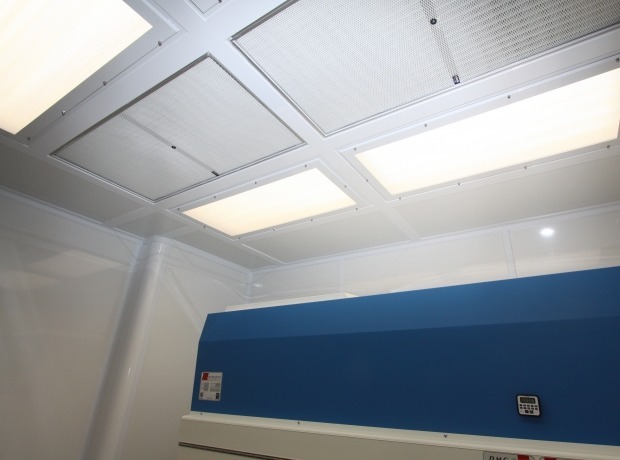 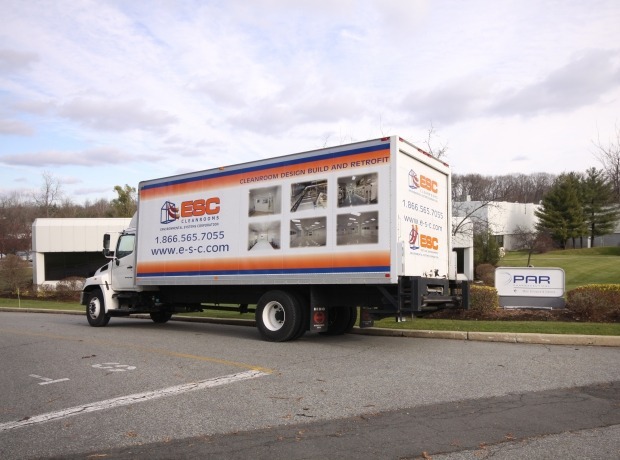 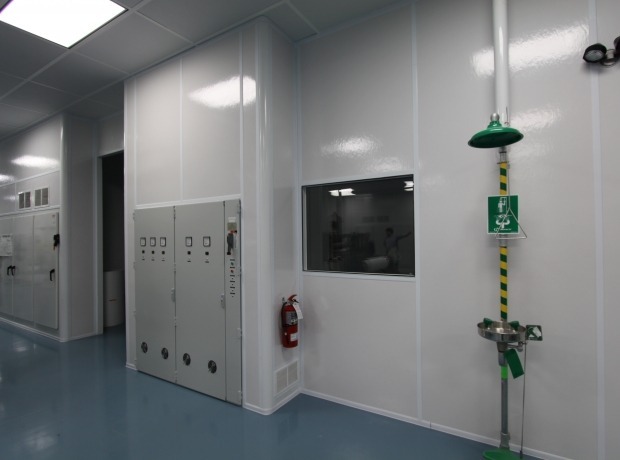 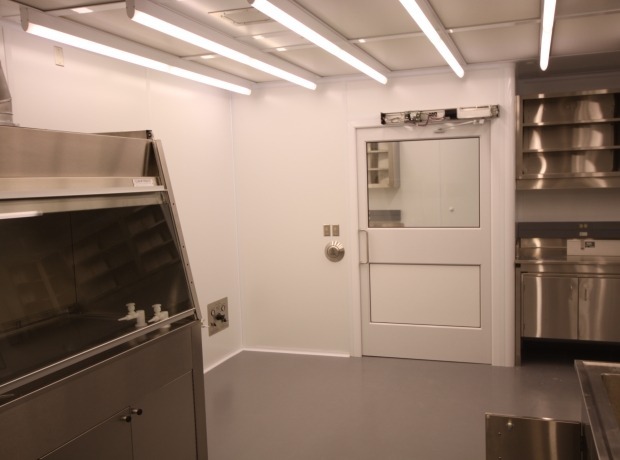 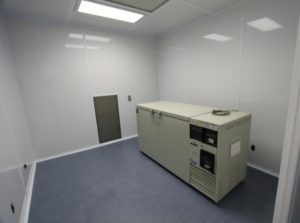 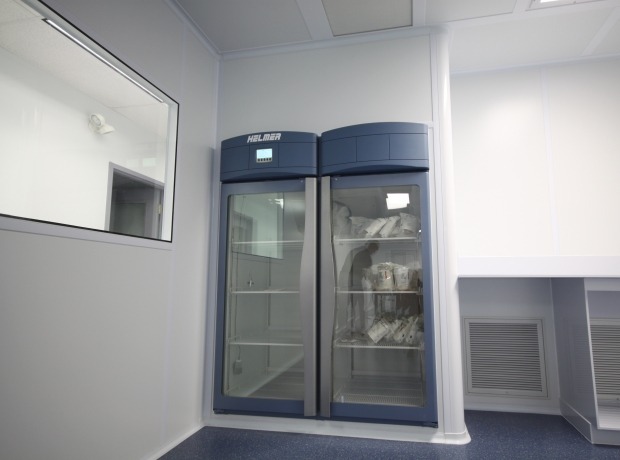 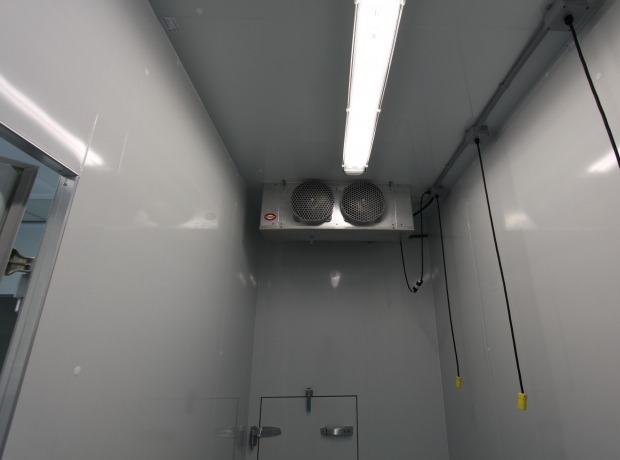 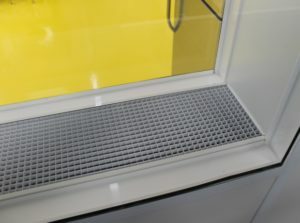 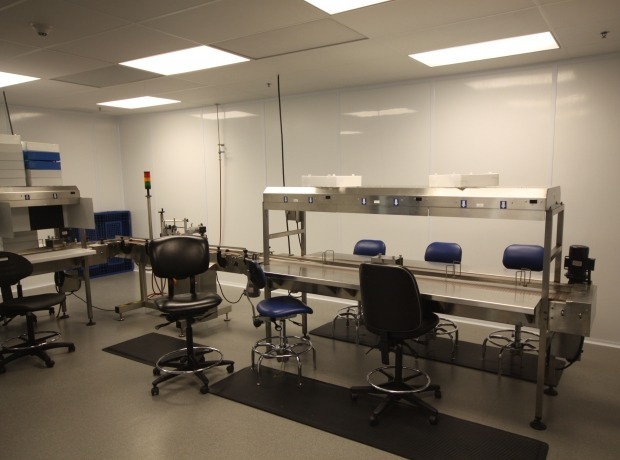 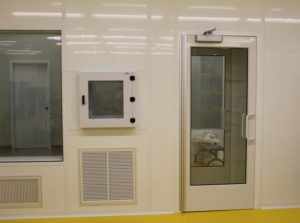 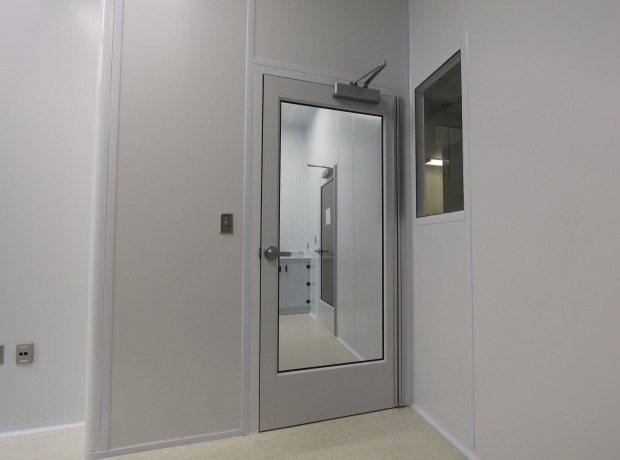 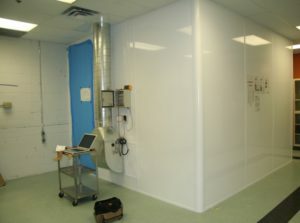 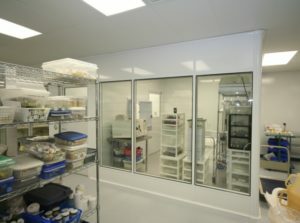 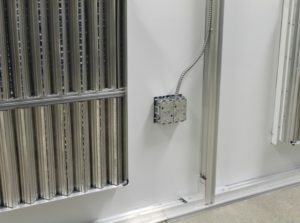 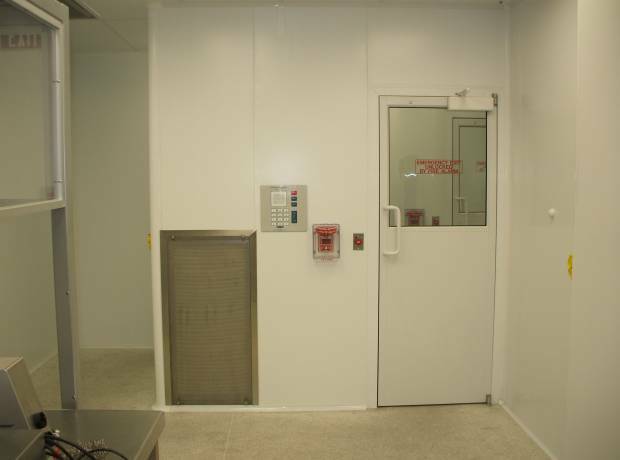 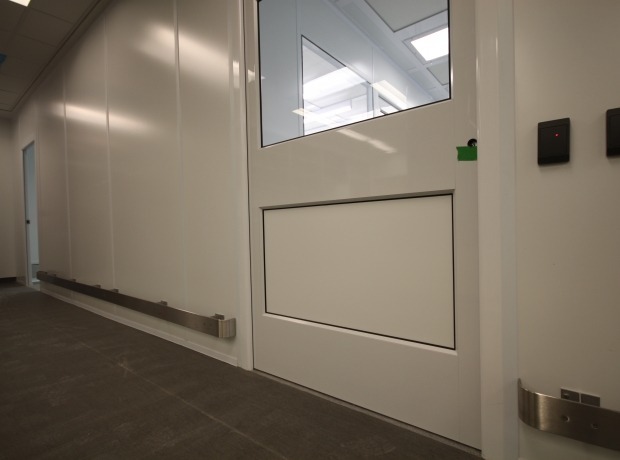 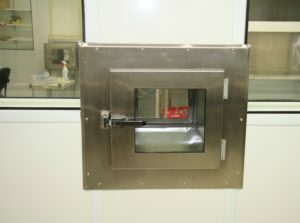 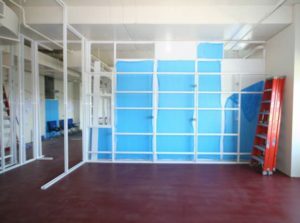 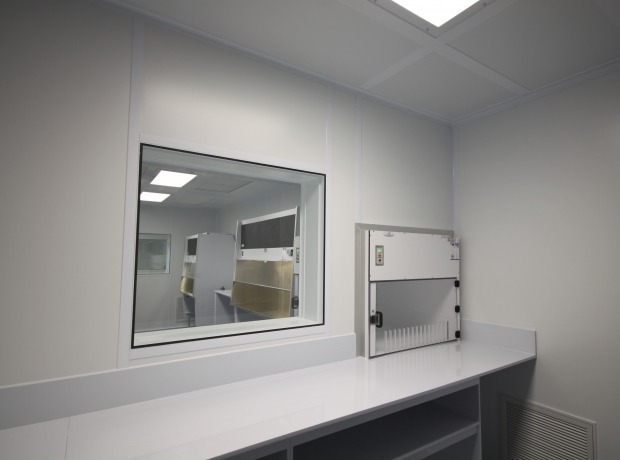 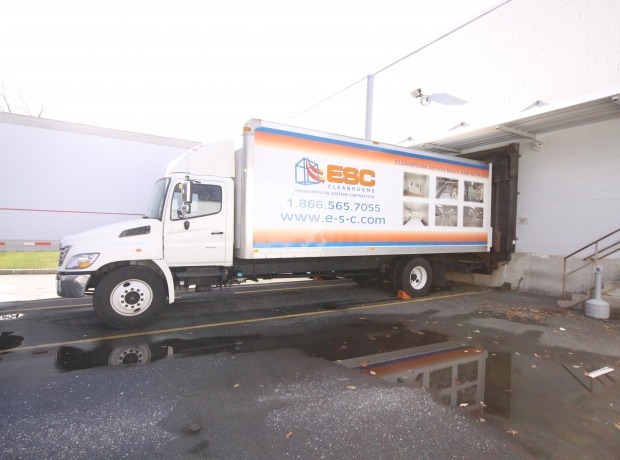 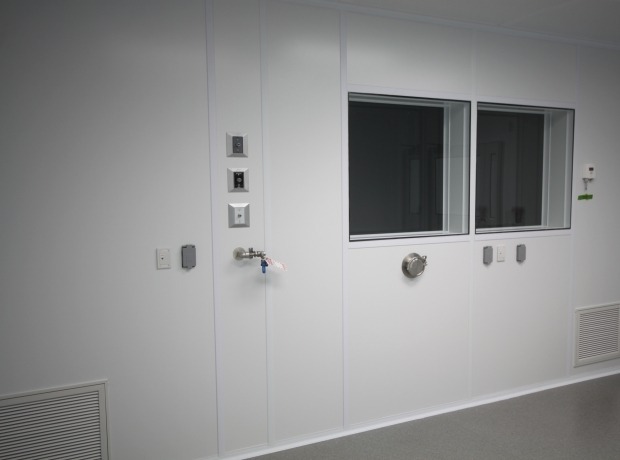 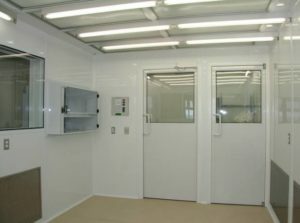 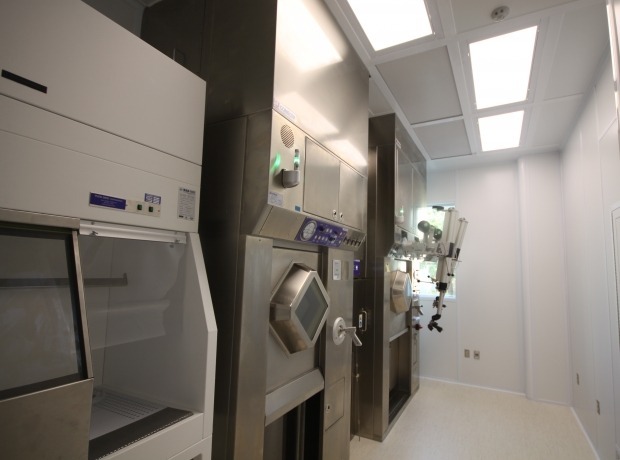 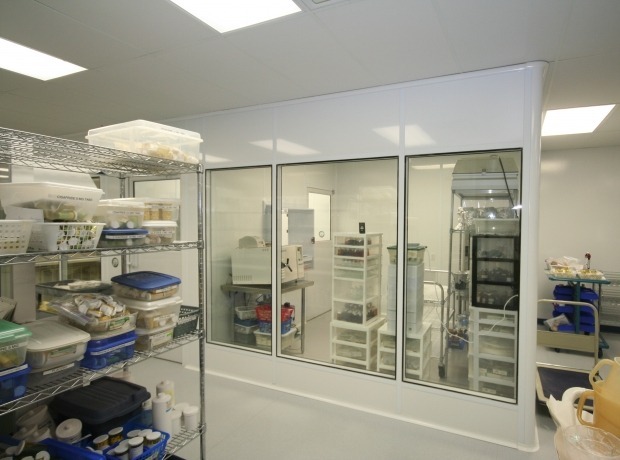 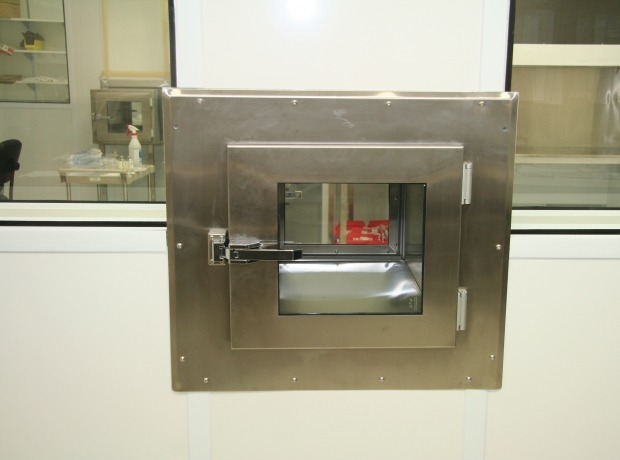 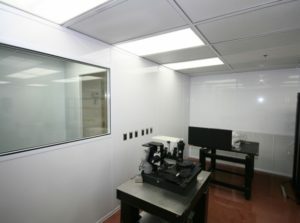 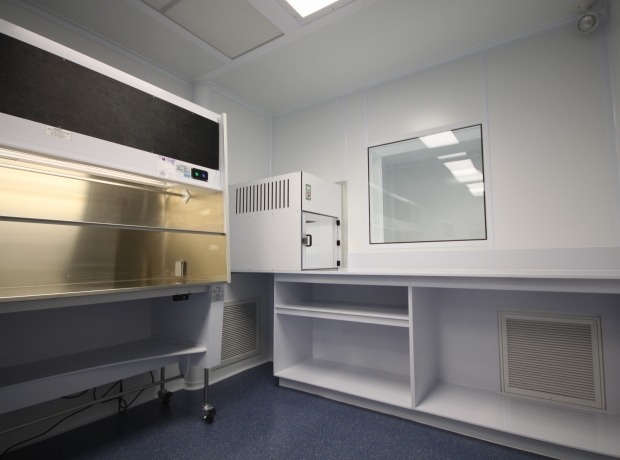 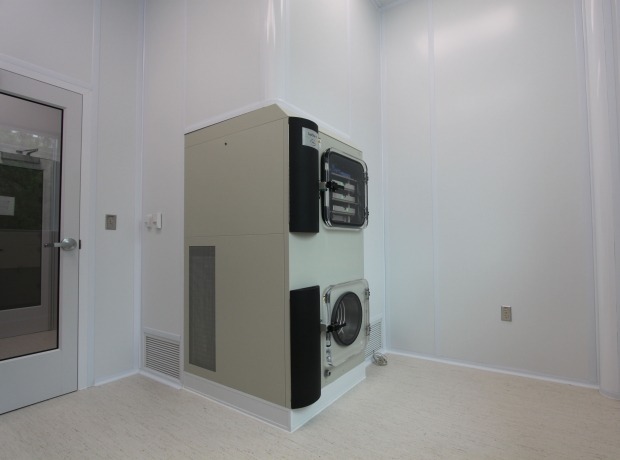 Independent Pilot Grade C / ISO 7 Cleanrooms, with separate Personnel Change Rooms and Air Locks, as well as Material Air Locks, with Access and Magnetic Locks. 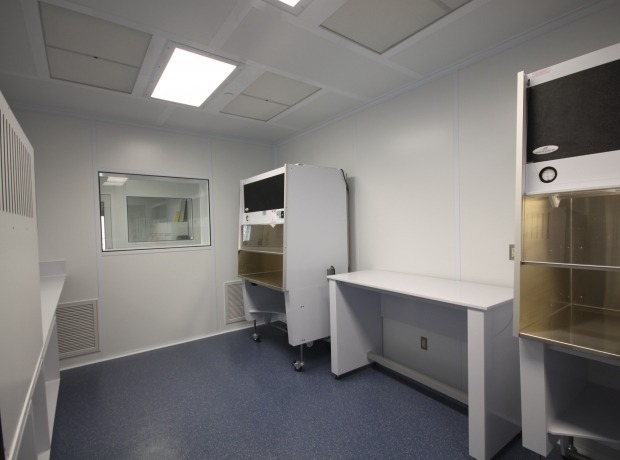 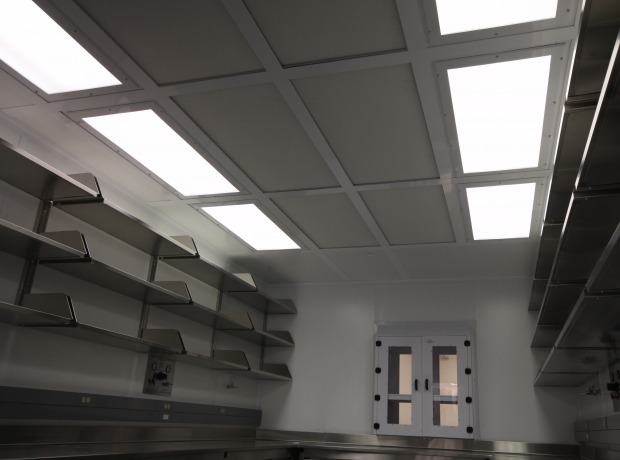 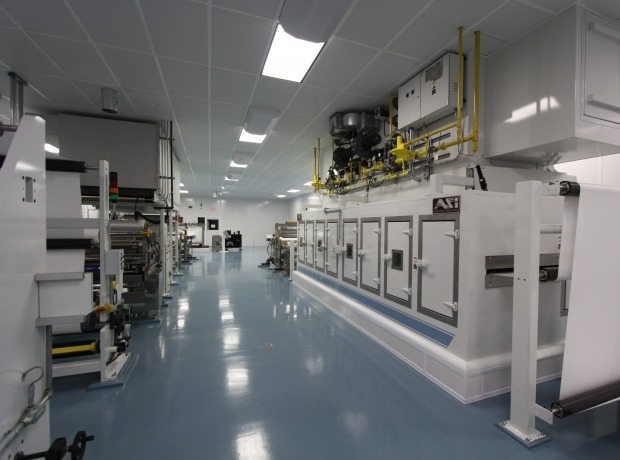 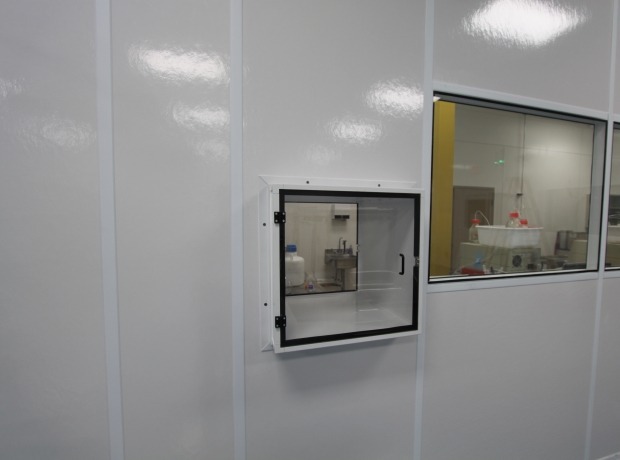 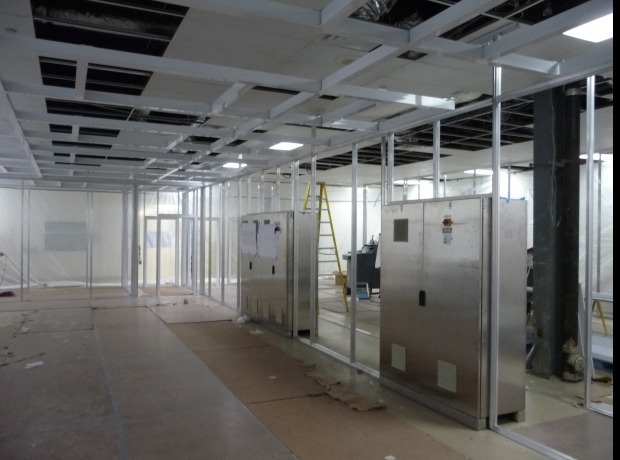 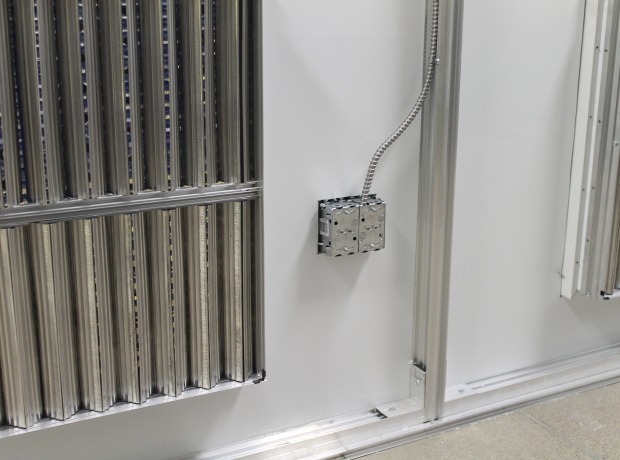 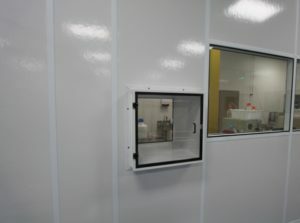 Construction of the ISO 7 Pharmaceutical Packaging Rooms with the flexibility of the ALUMA1 Cleanroom Wall System allows for changes in configuration as required. 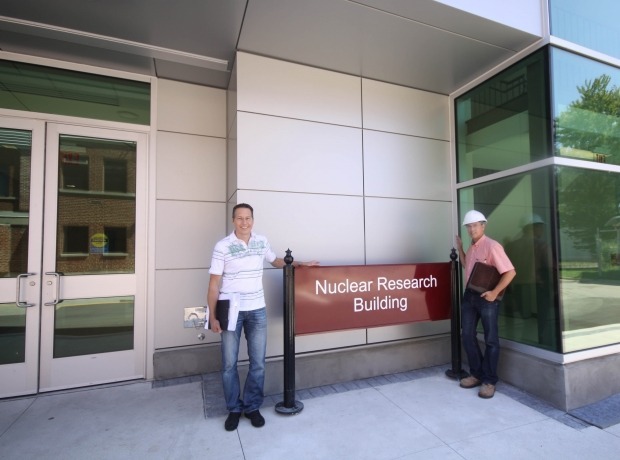 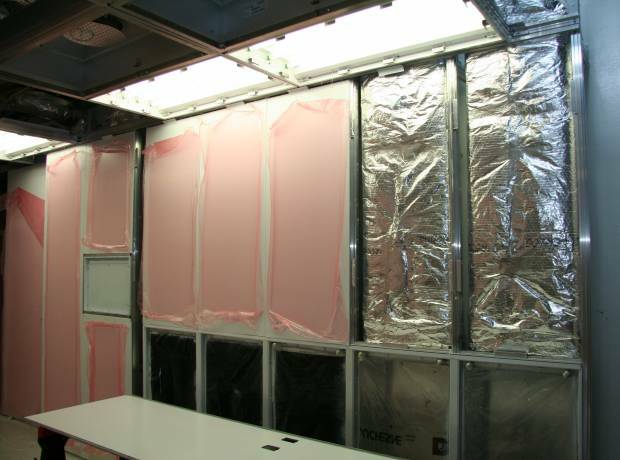 Initial User Group Interviews to determine requirements for design within space allocated and budget for funding. 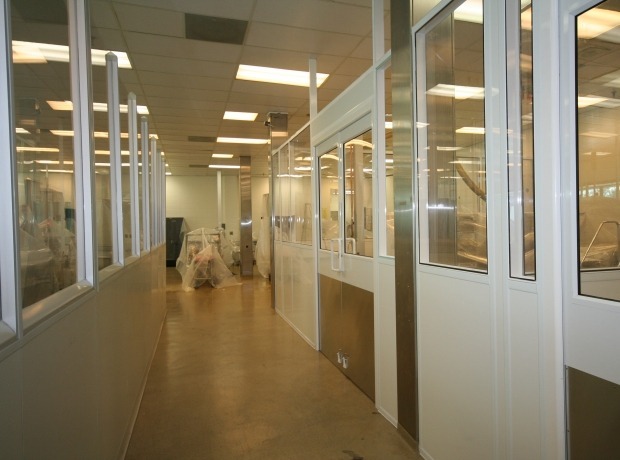 Assistance with original design and regulatory approval with CFIA. 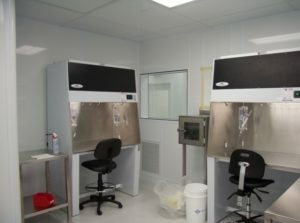 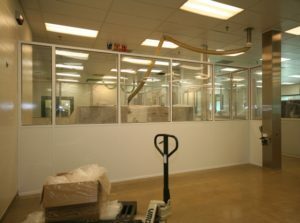 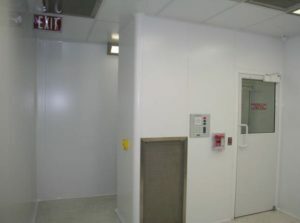 Therapure Biopharma required a downflow booth is a corner in three weeks. 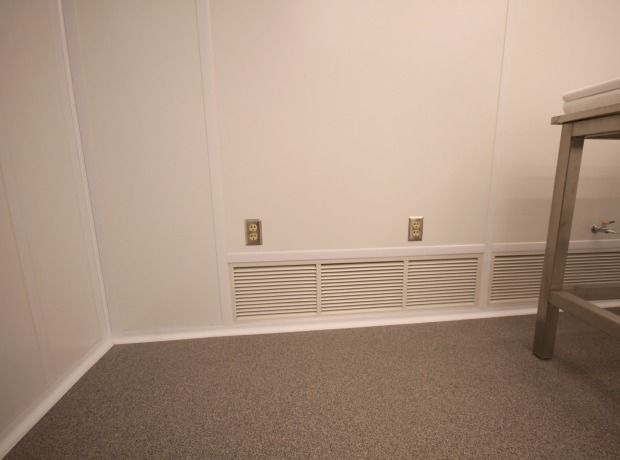 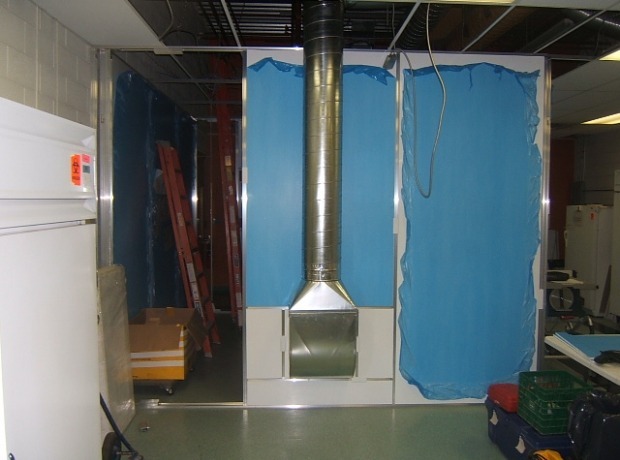 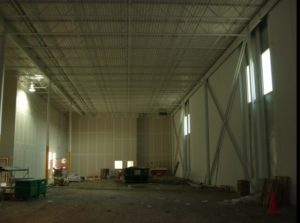 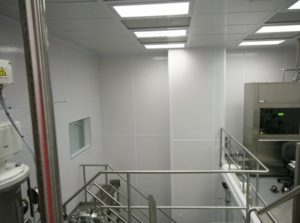 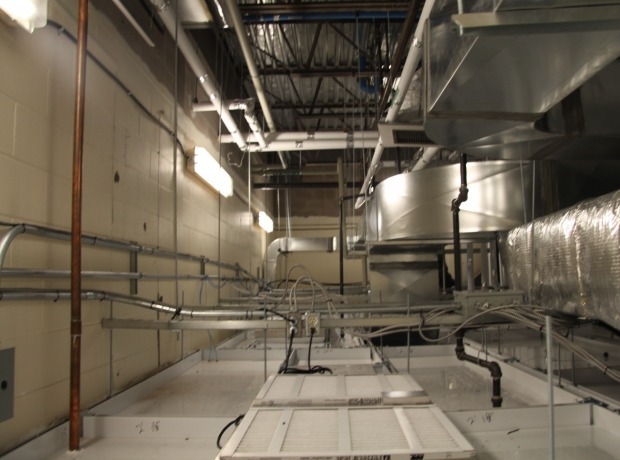 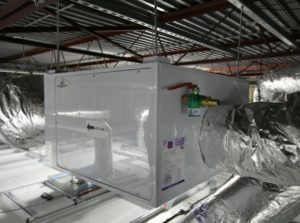 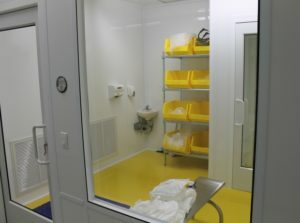 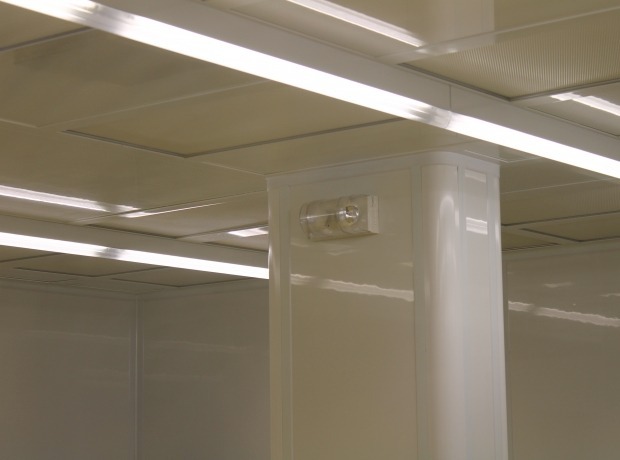 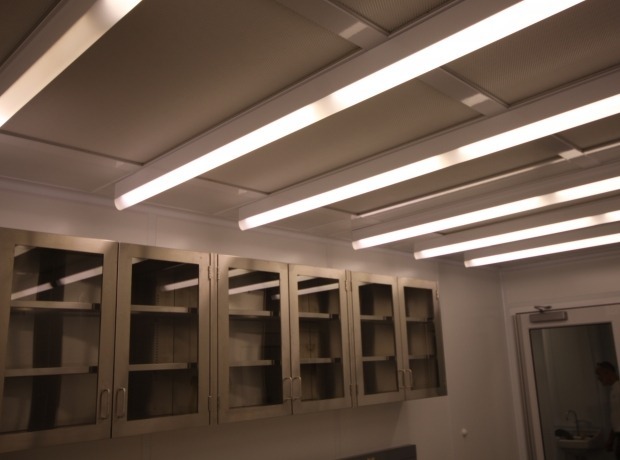 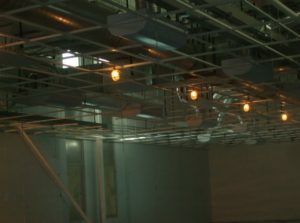 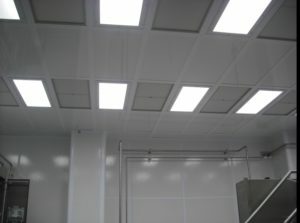 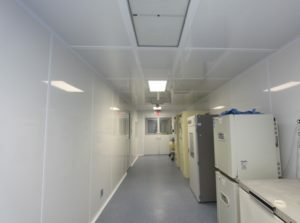 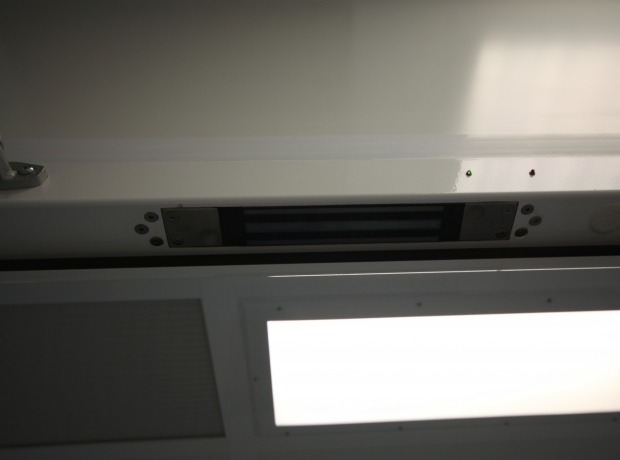 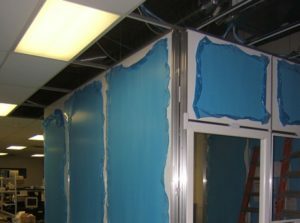 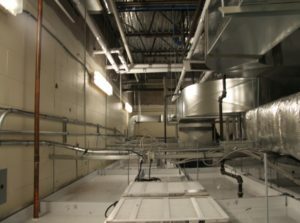 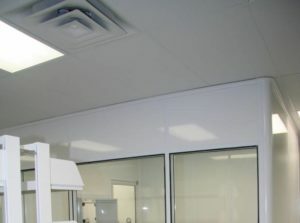 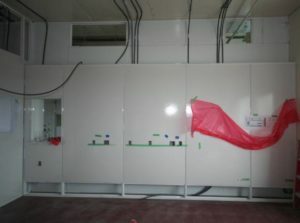 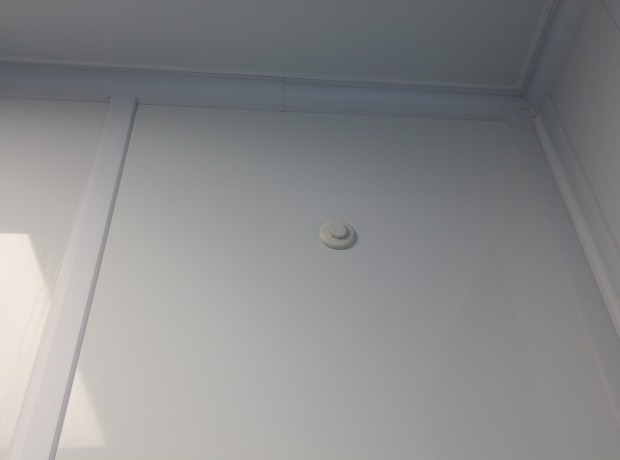 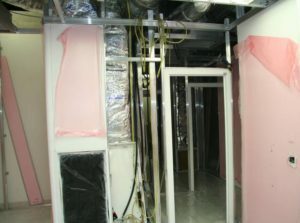 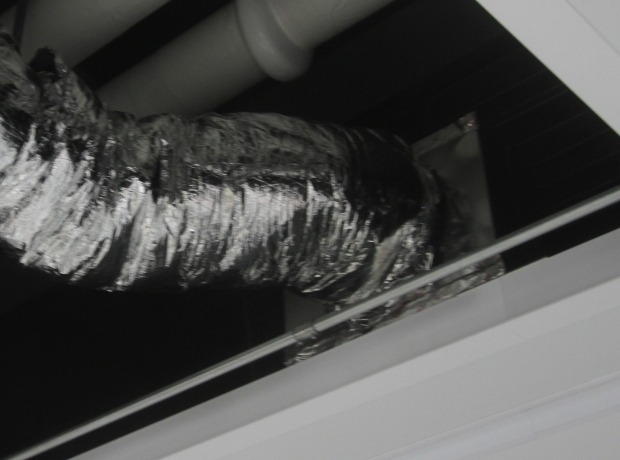 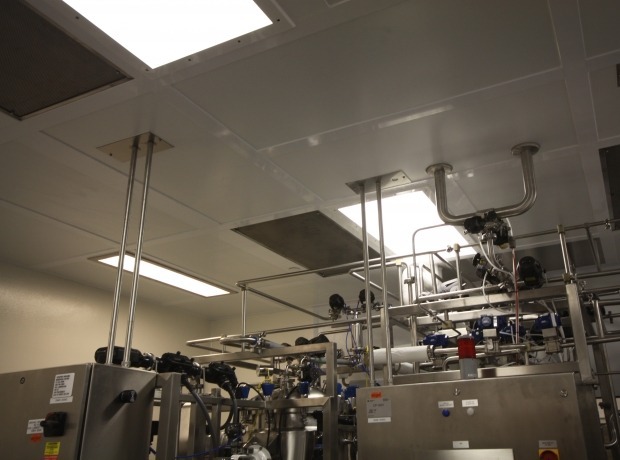 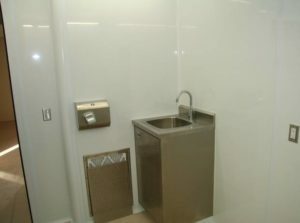 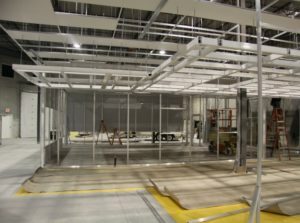 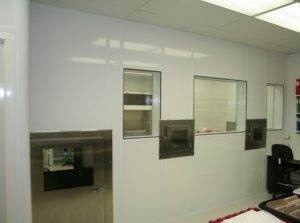 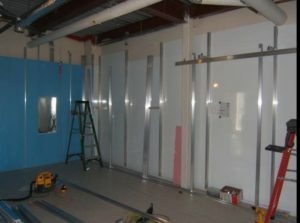 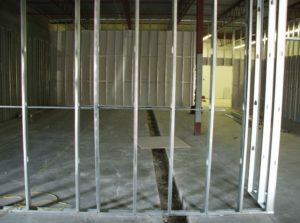 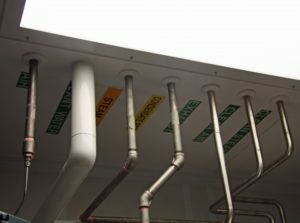 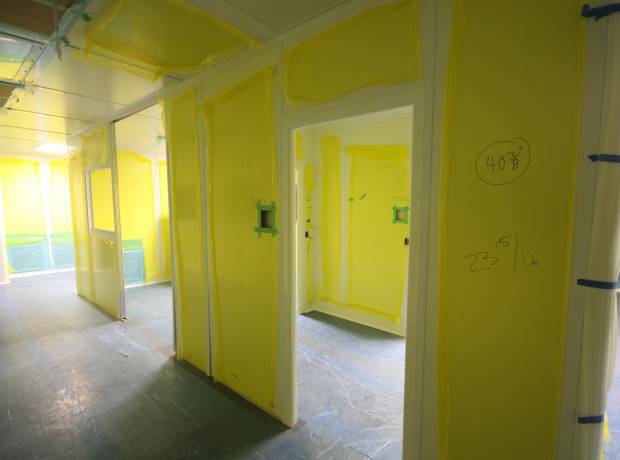 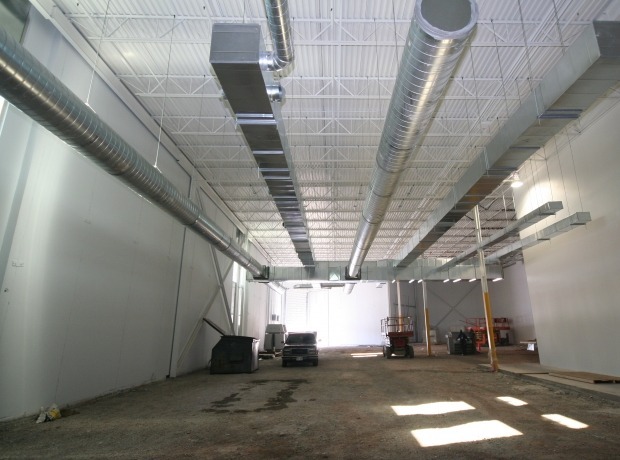 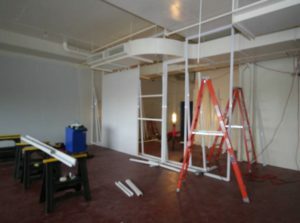 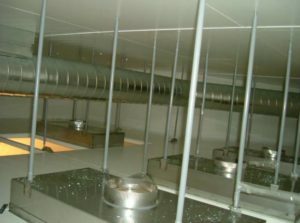 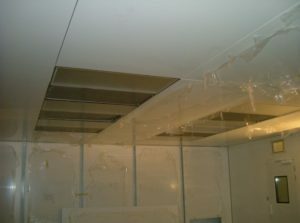 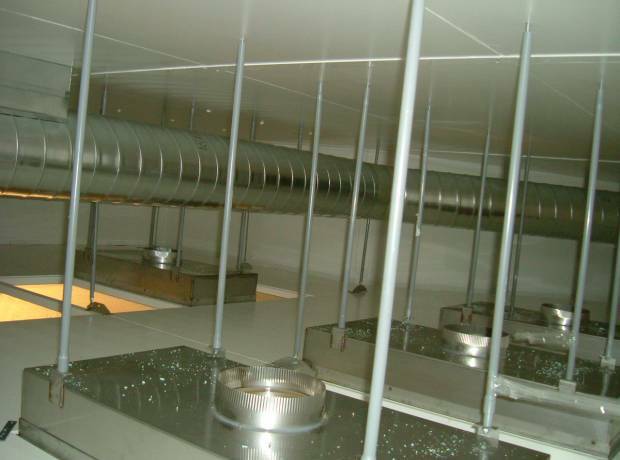 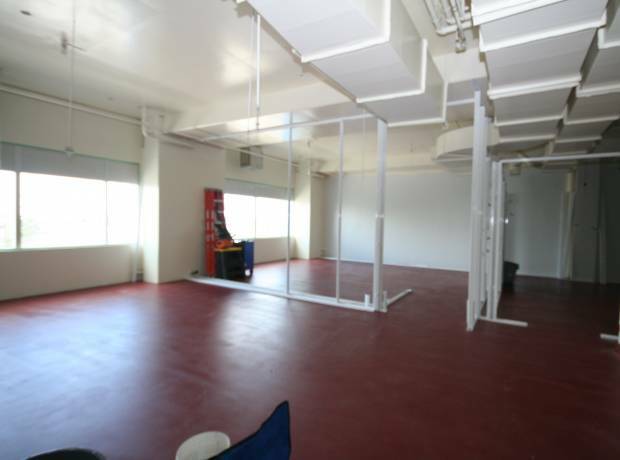 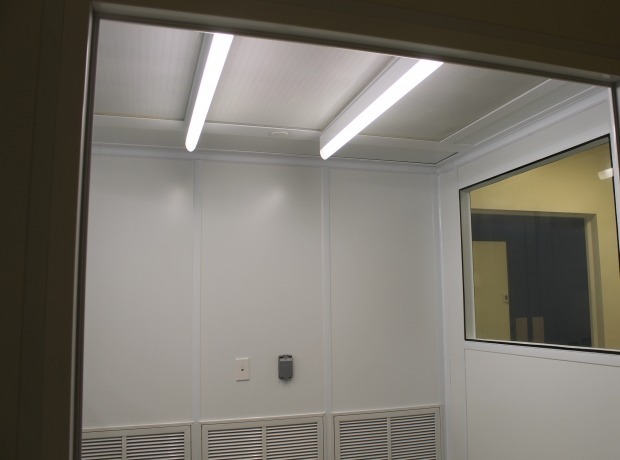 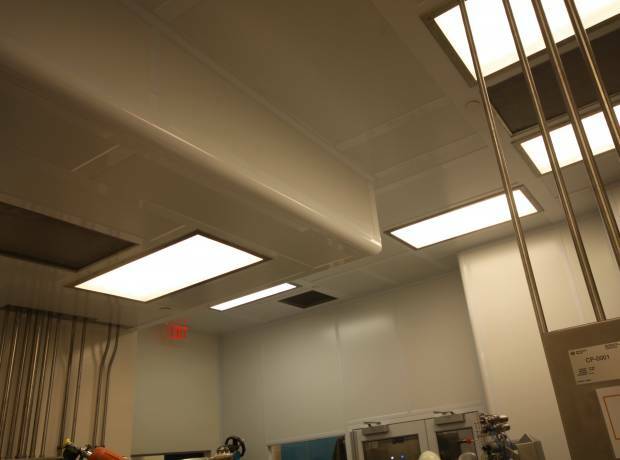 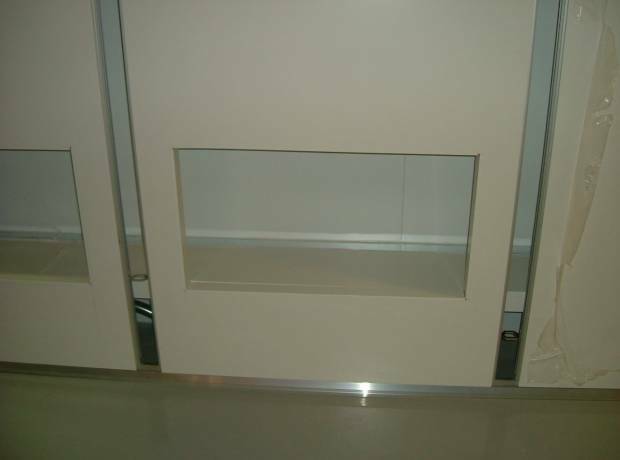 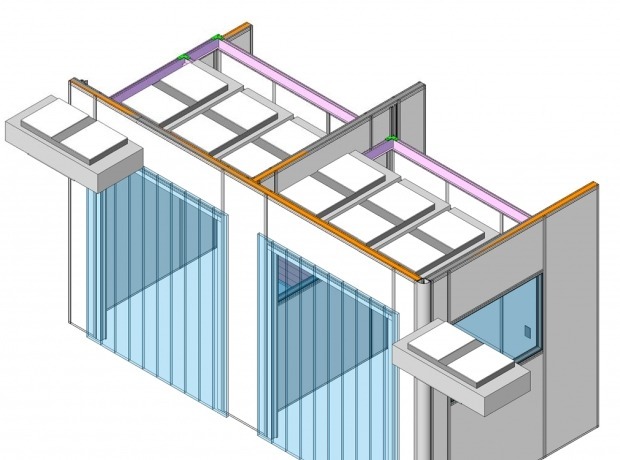 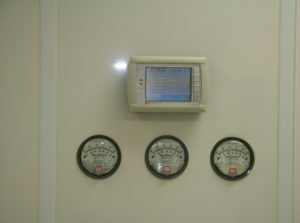 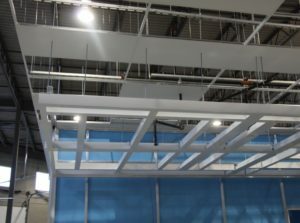 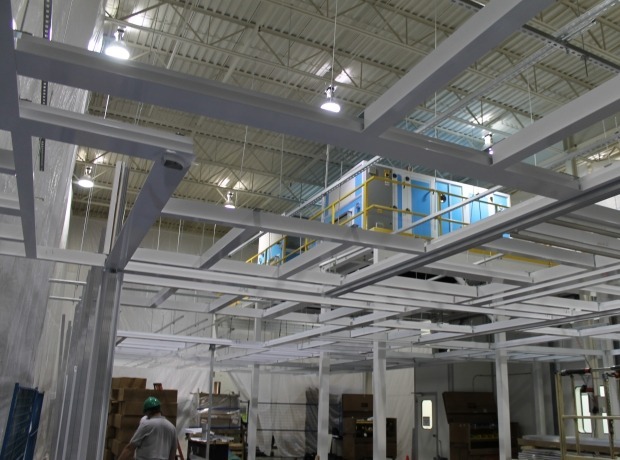 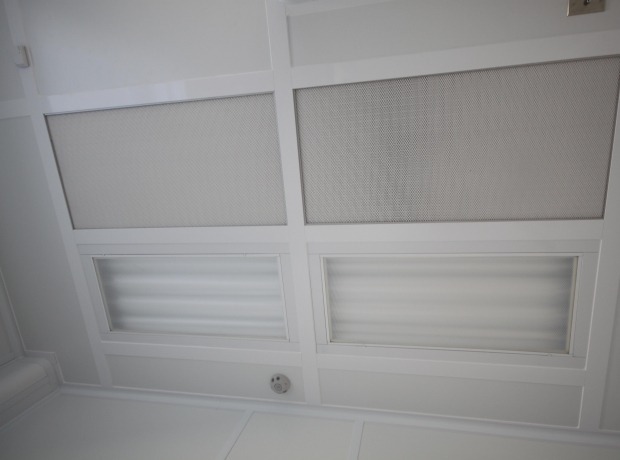 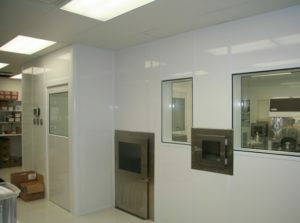 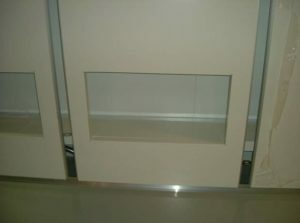 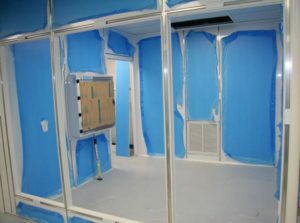 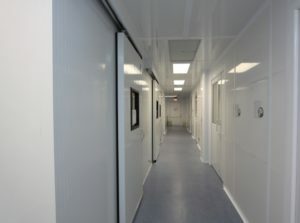 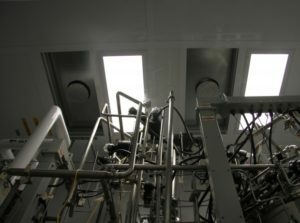 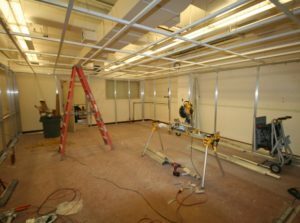 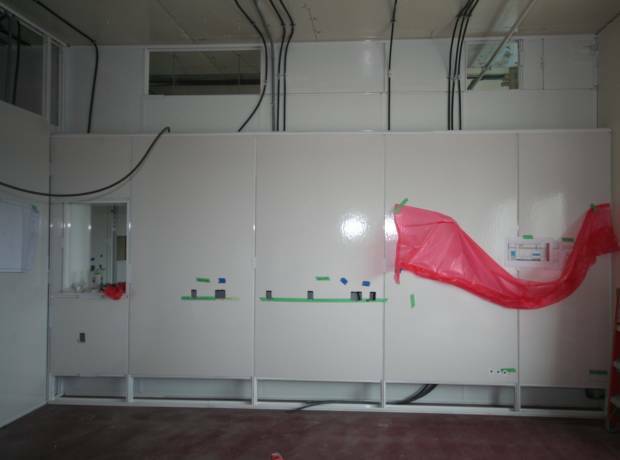 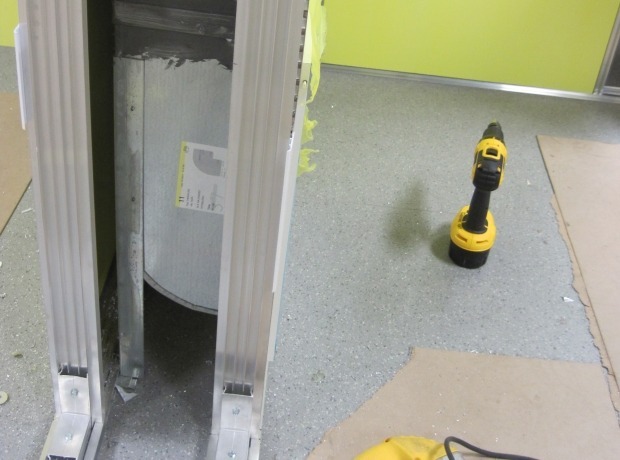 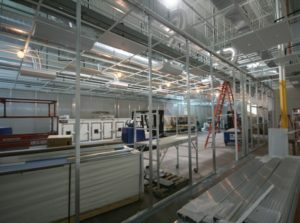 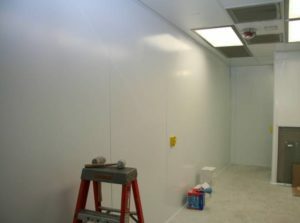 The system uses the existing back wall, as well as the ceiling to be the plenum, and the new walls and ceiling installed to maintain the containment. 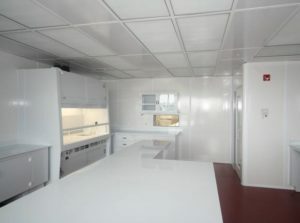 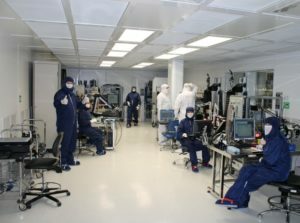 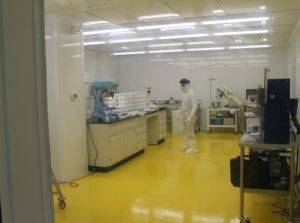 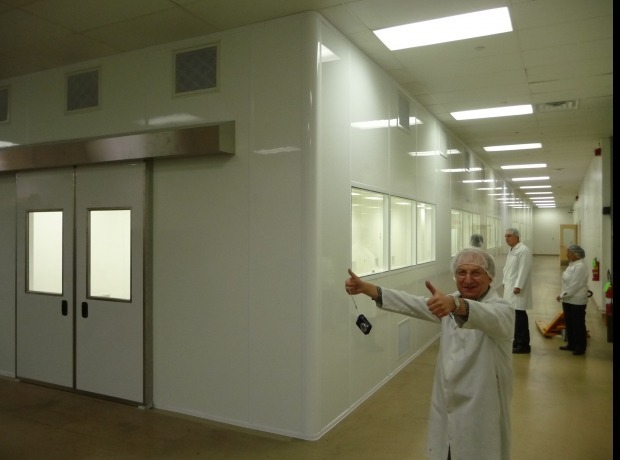 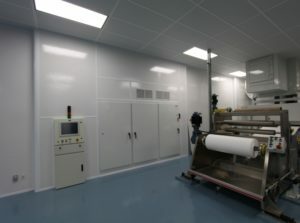 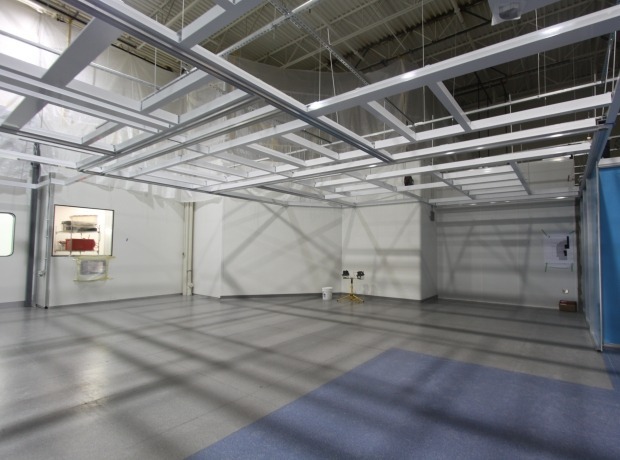 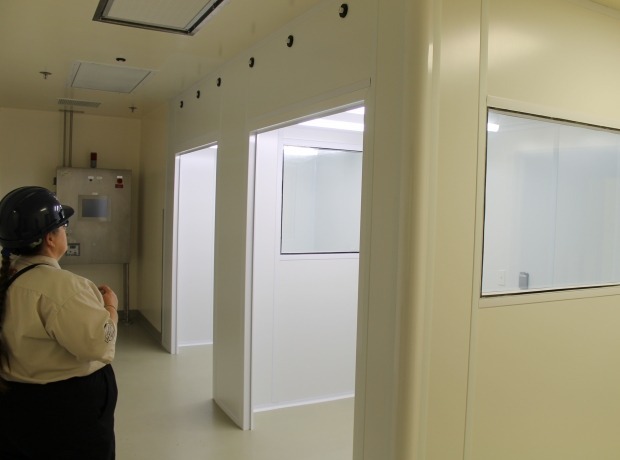 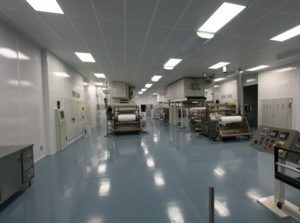 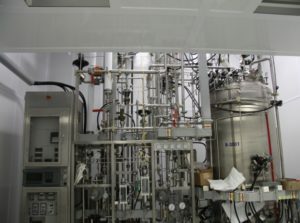 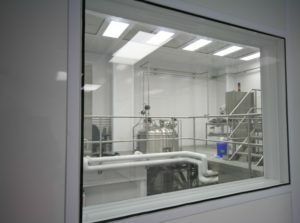 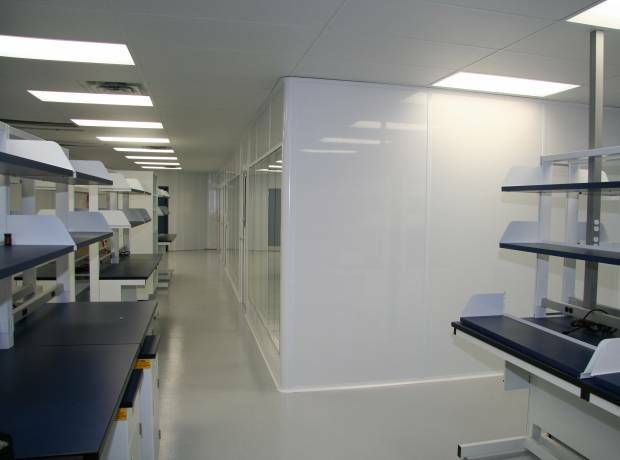 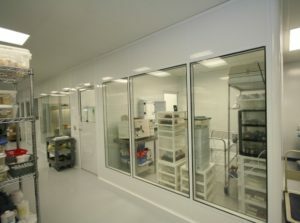 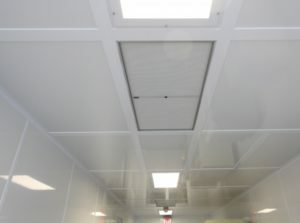 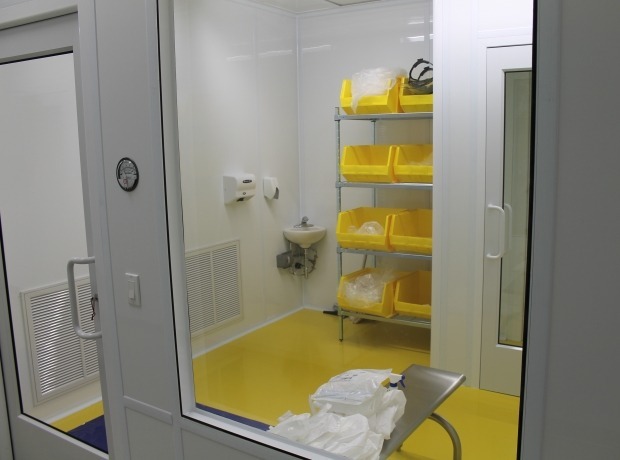 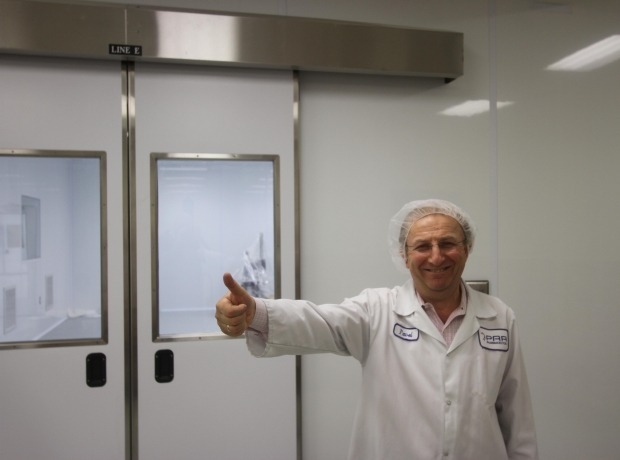 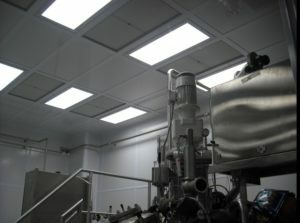 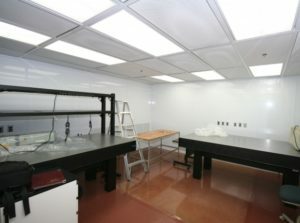 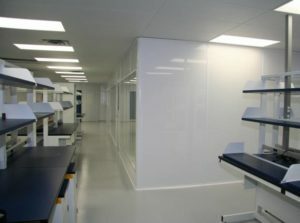 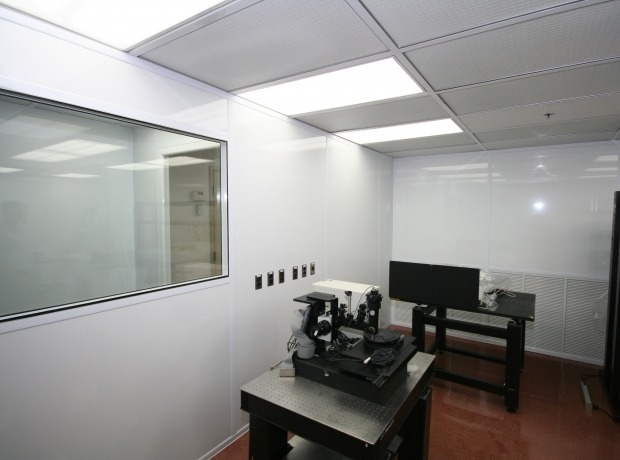 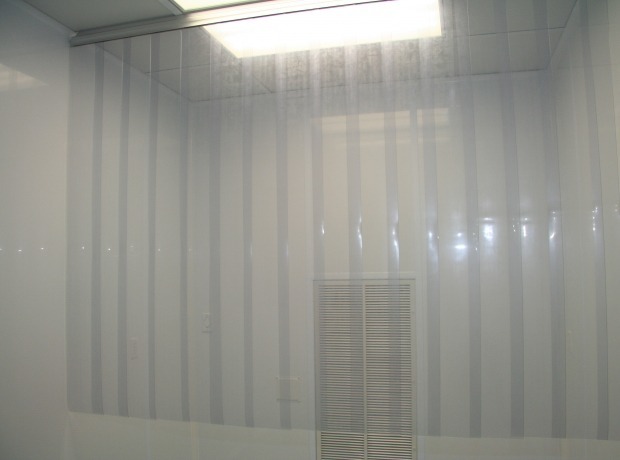 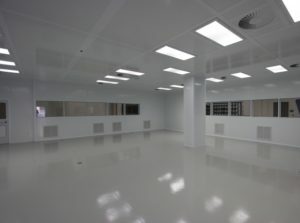 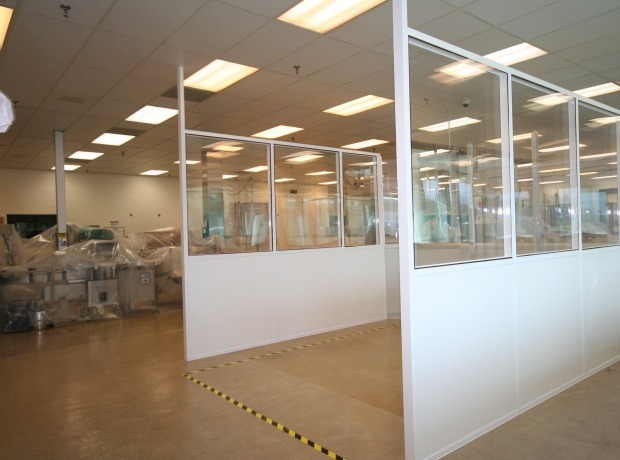 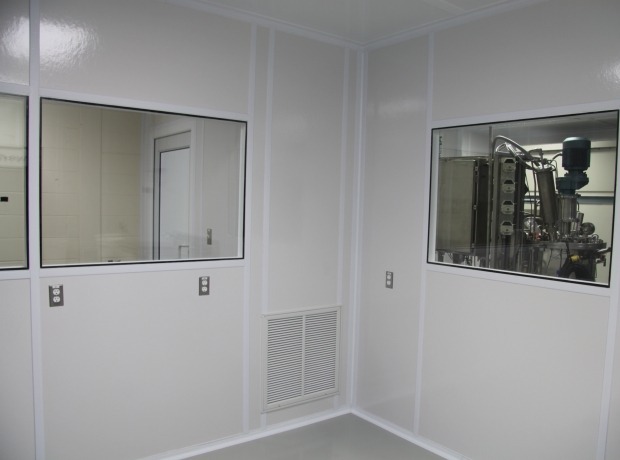 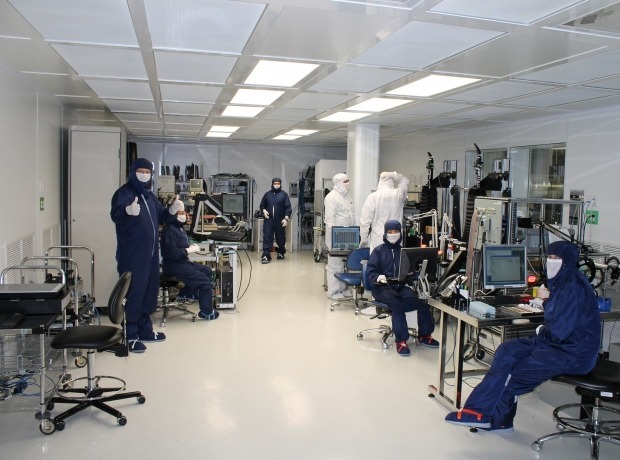 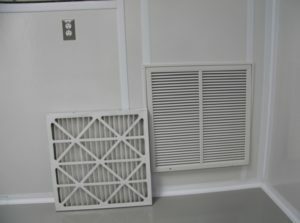 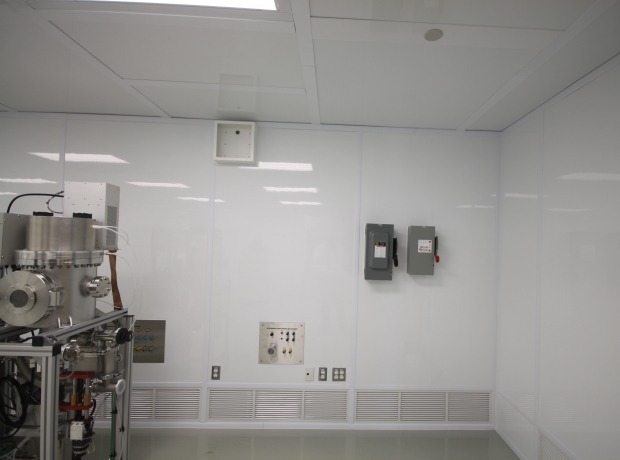 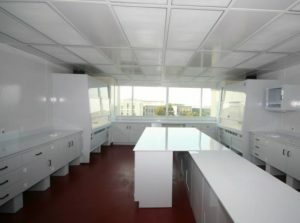 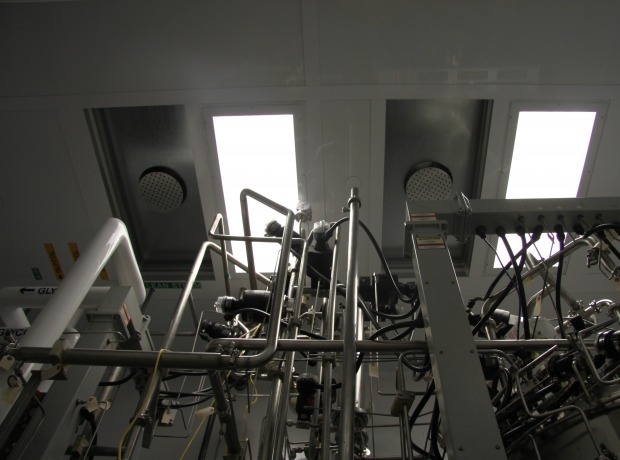 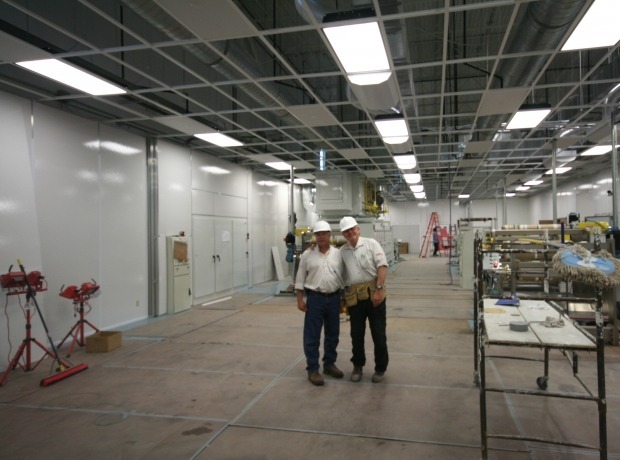 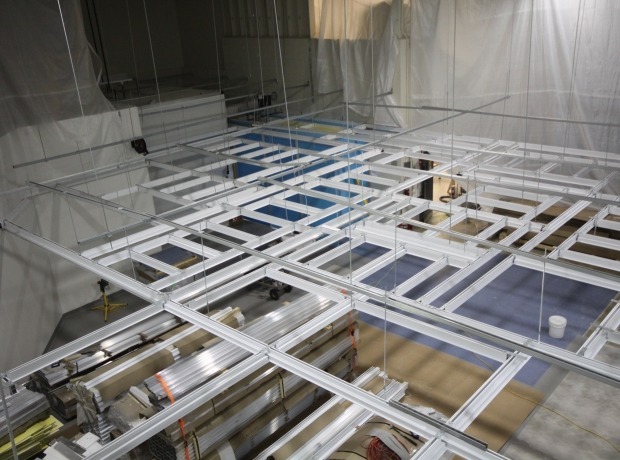 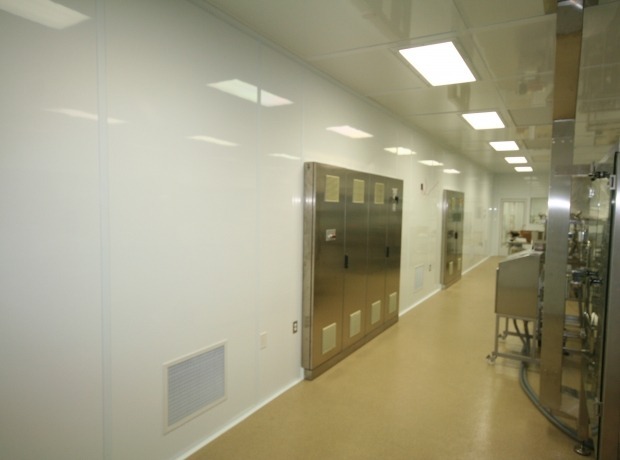 The Cleanrooms consist of a cluster of 5 ISO 7 Suites. 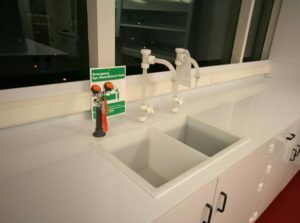 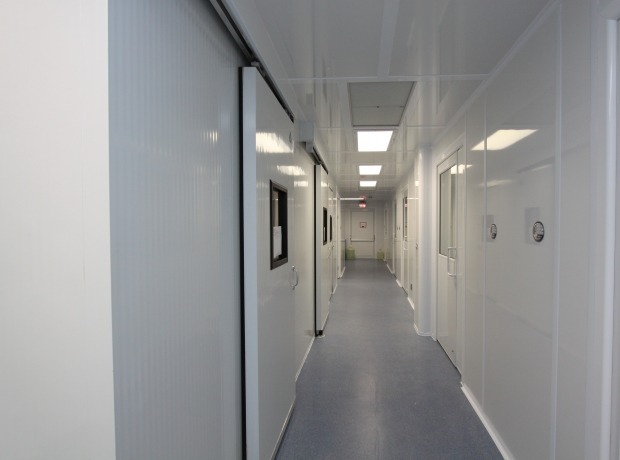 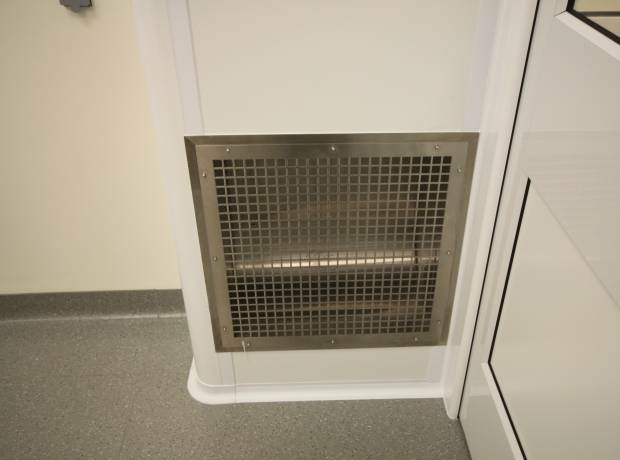 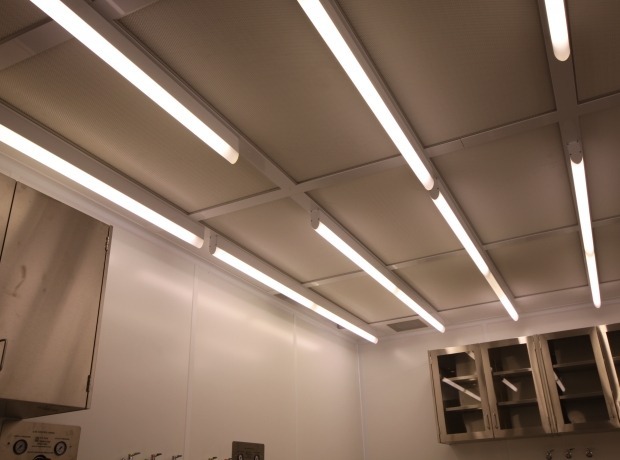 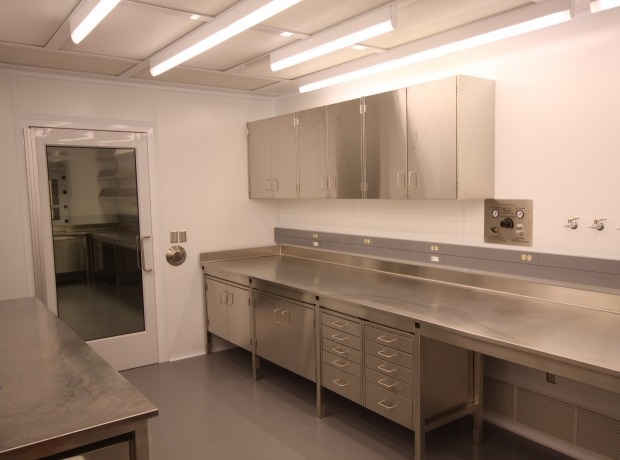 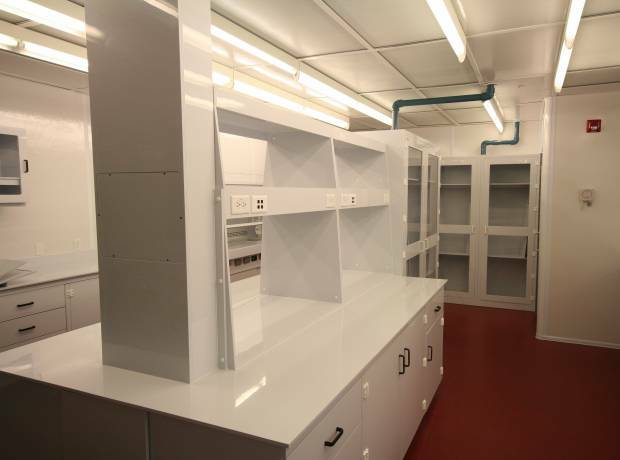 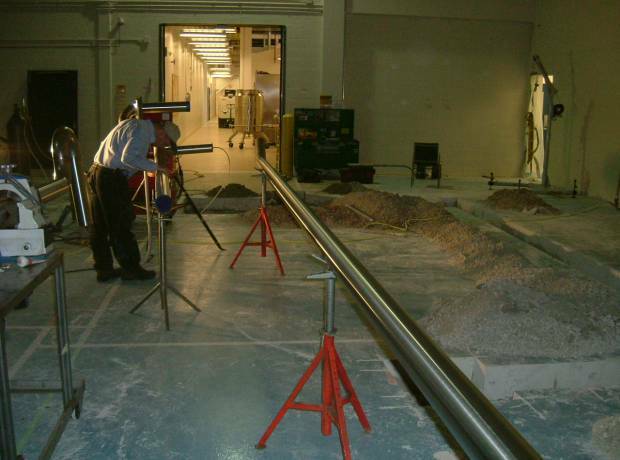 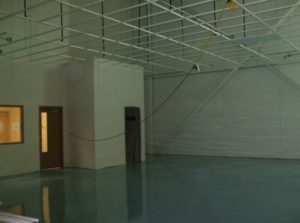 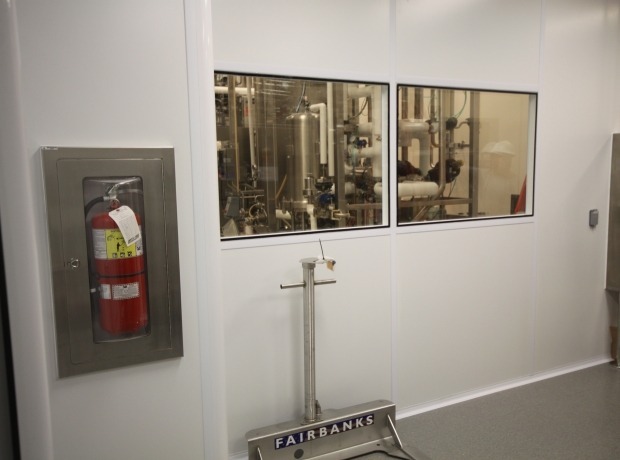 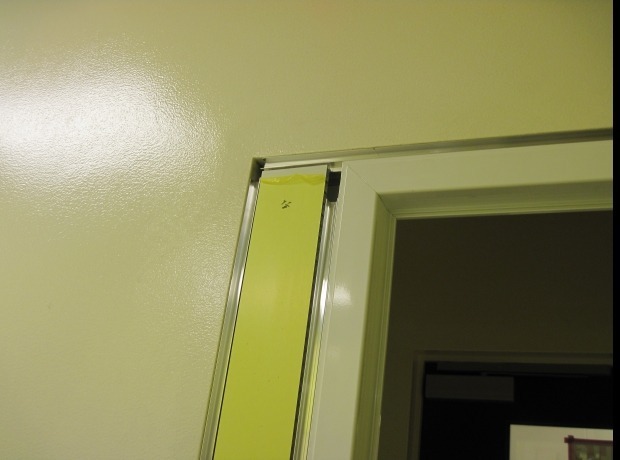 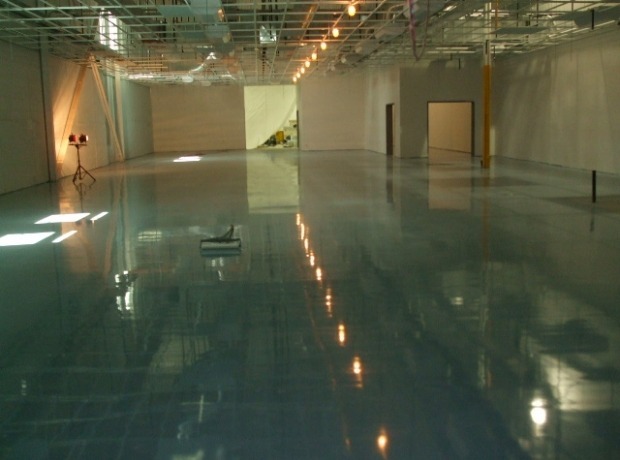 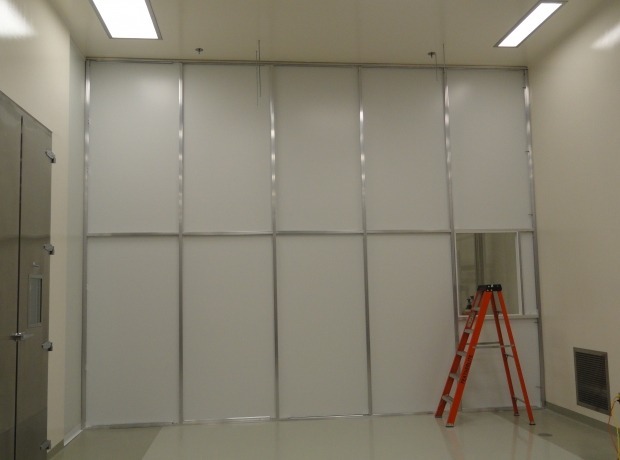 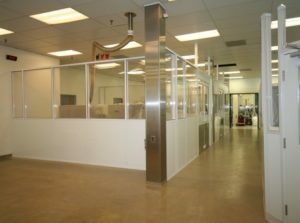 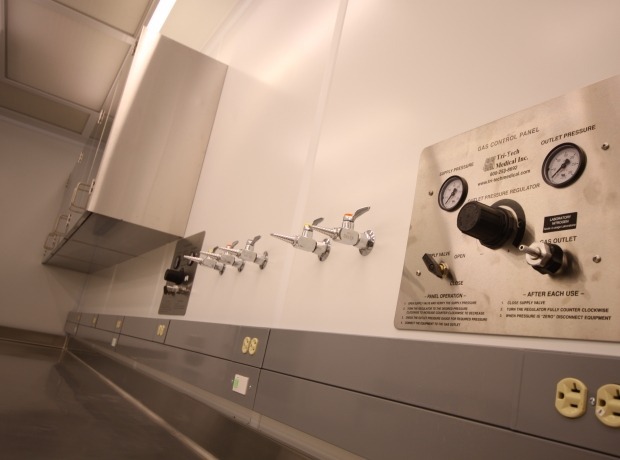 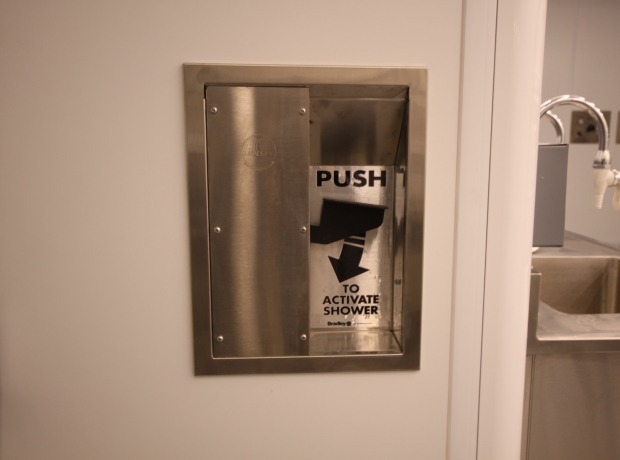 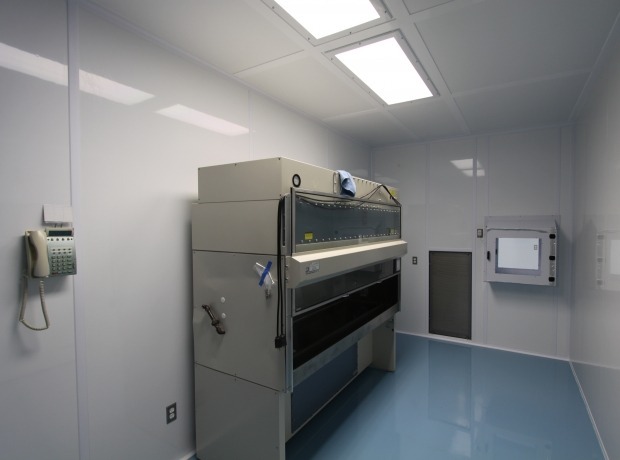 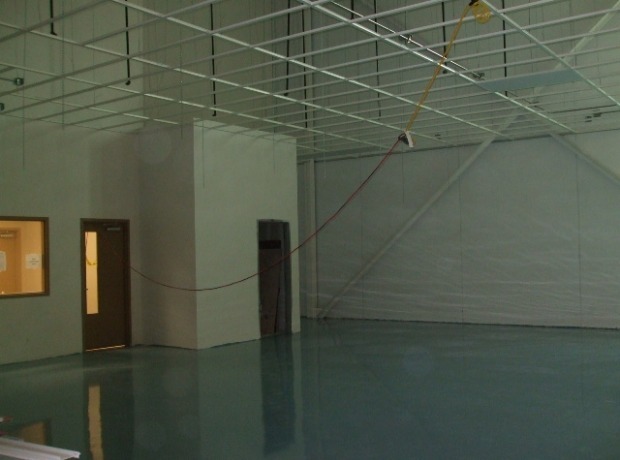 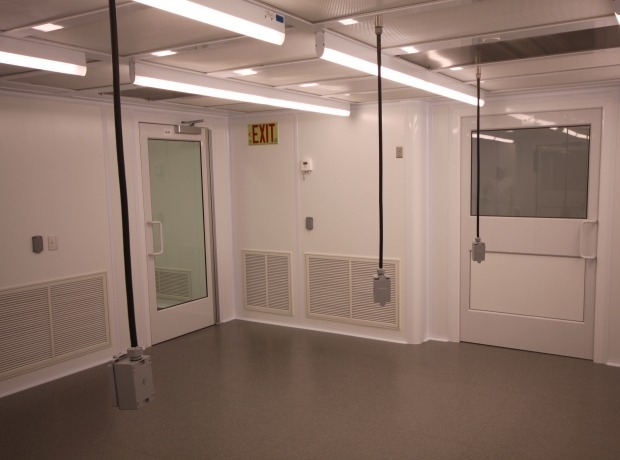 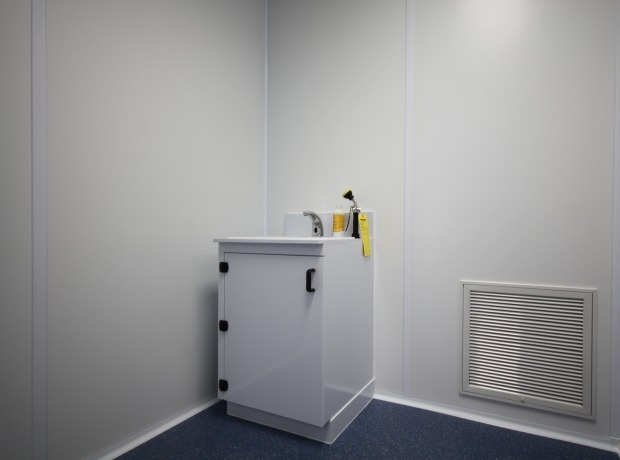 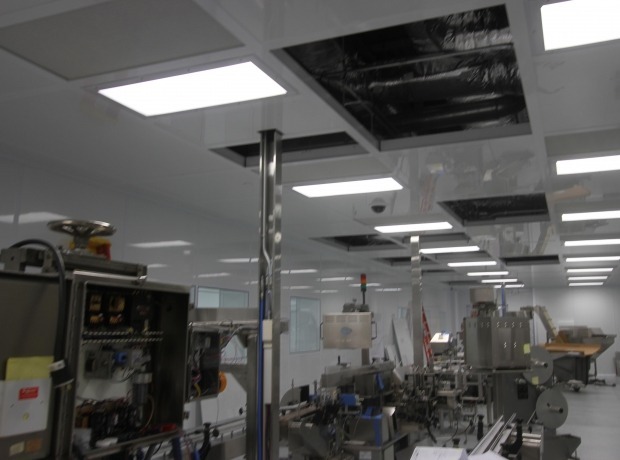 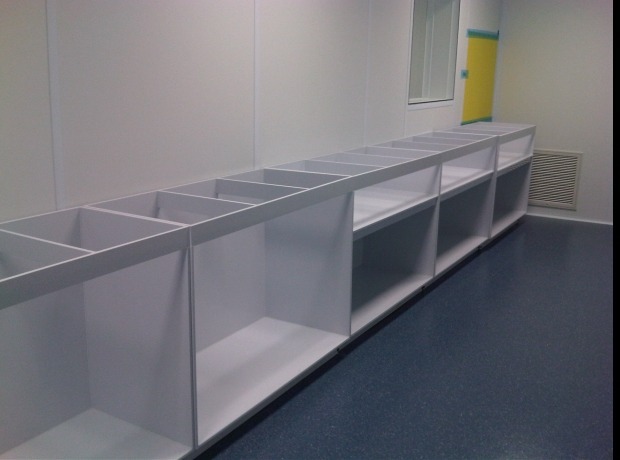 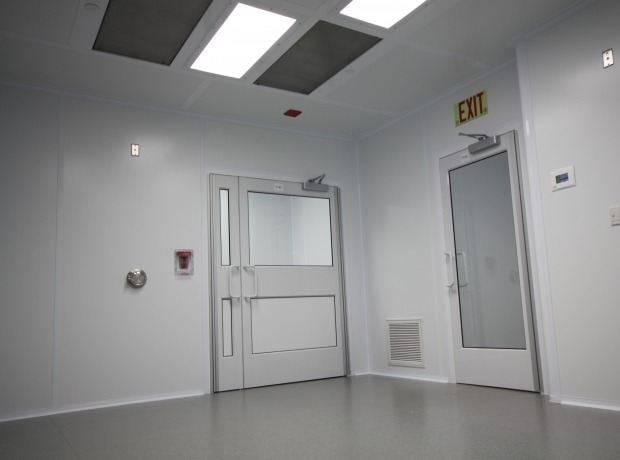 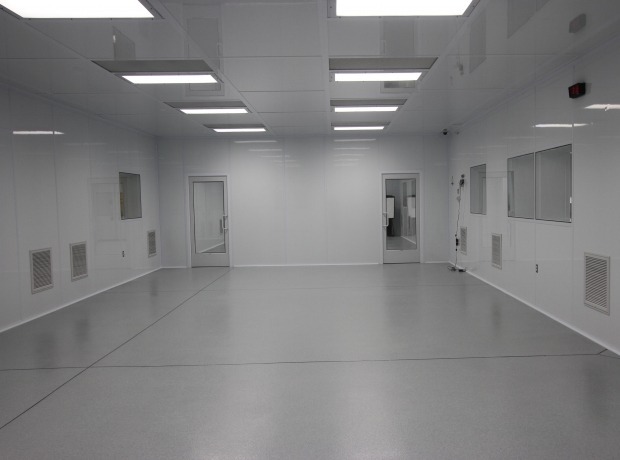 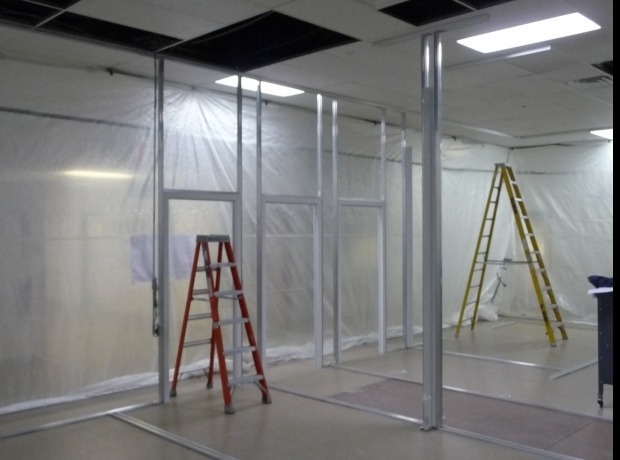 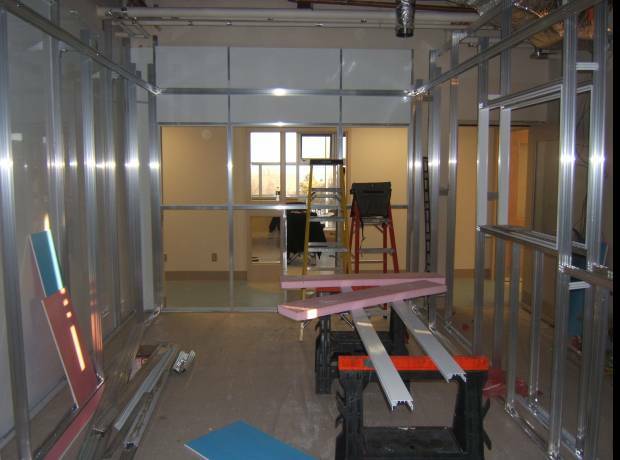 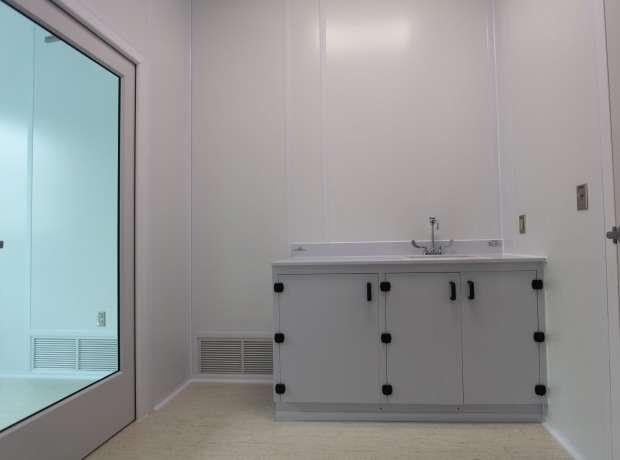 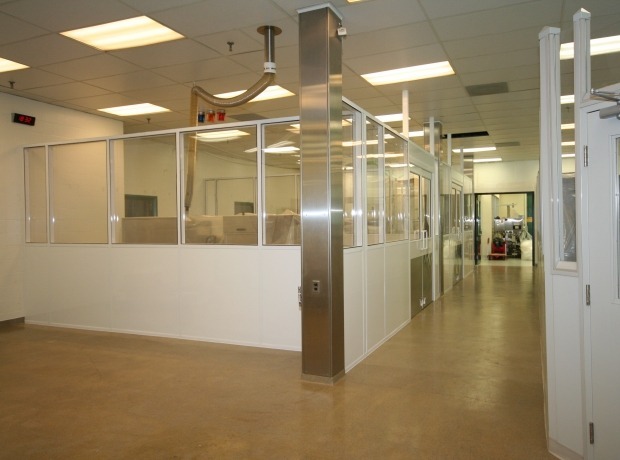 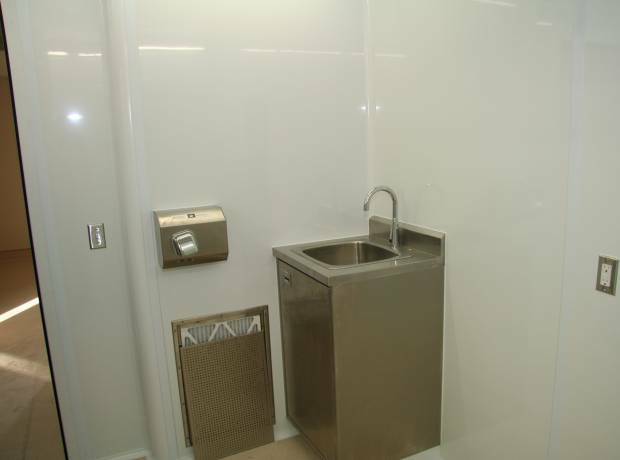 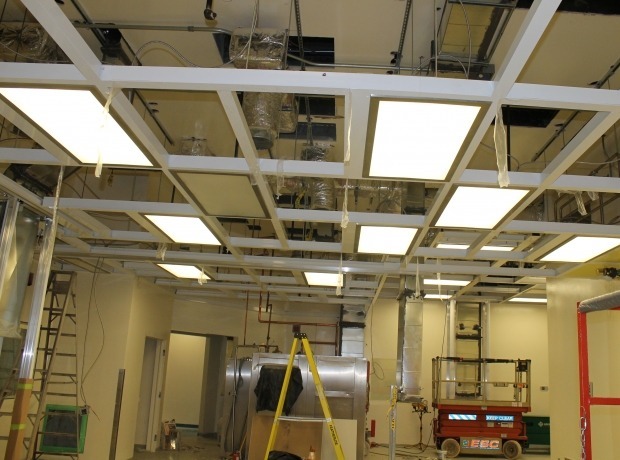 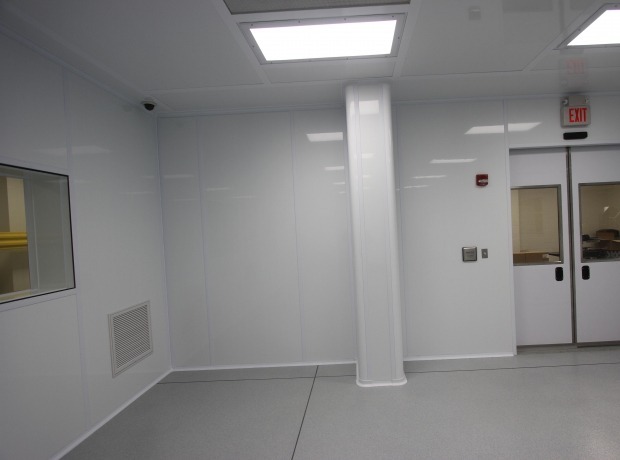 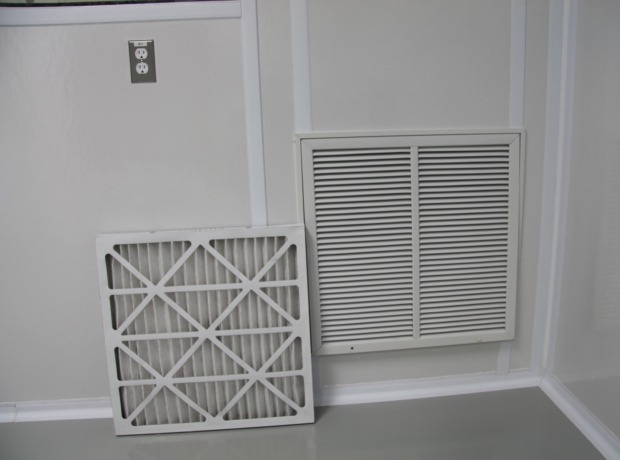 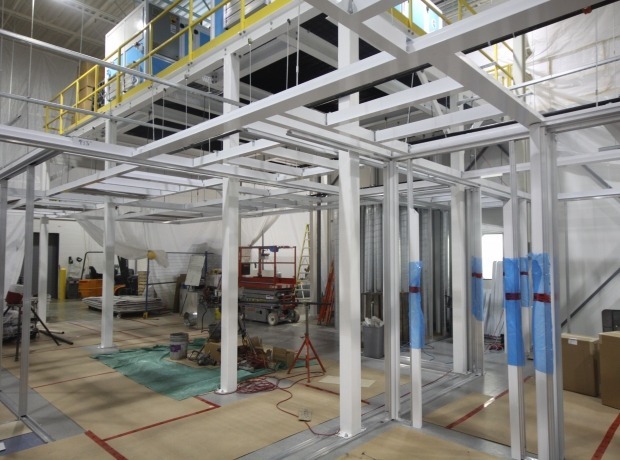 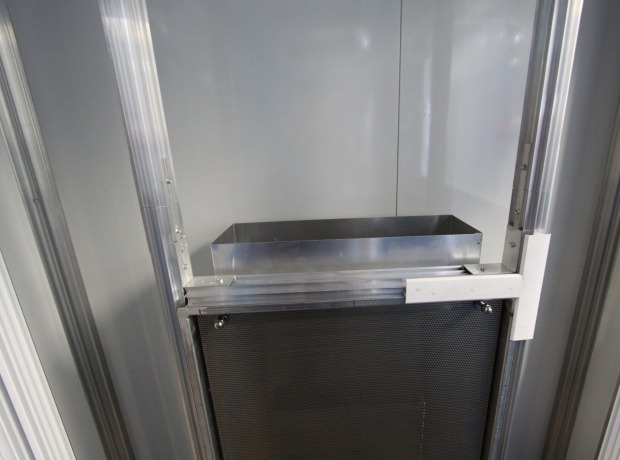 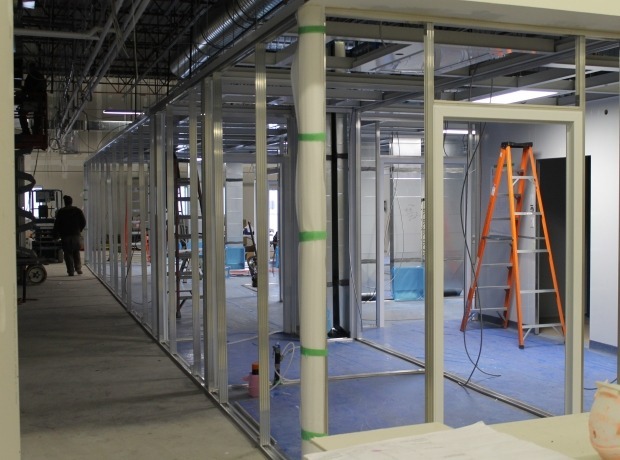 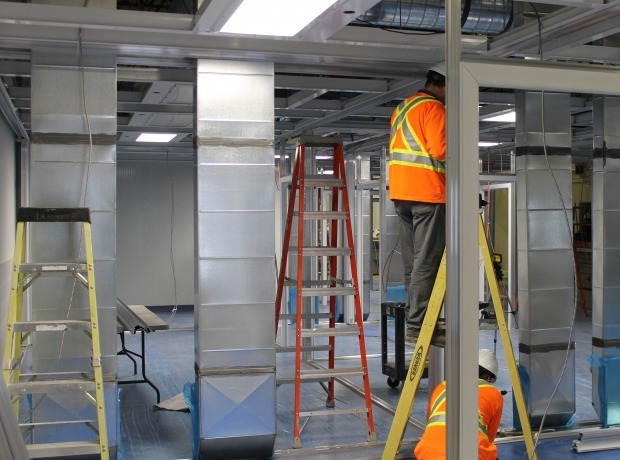 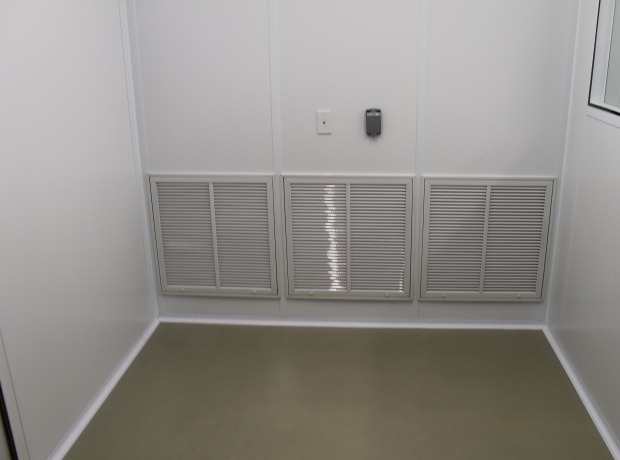 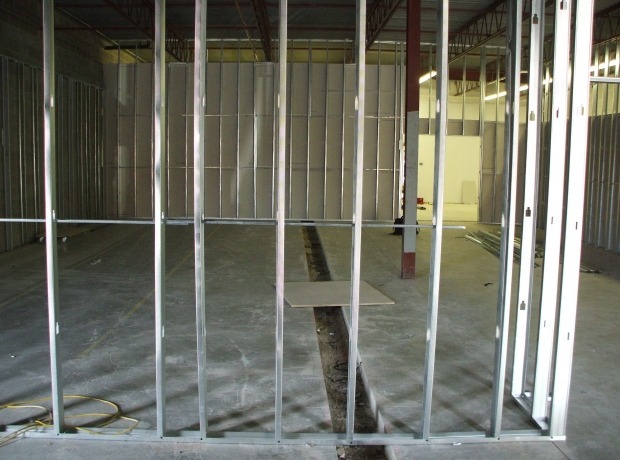 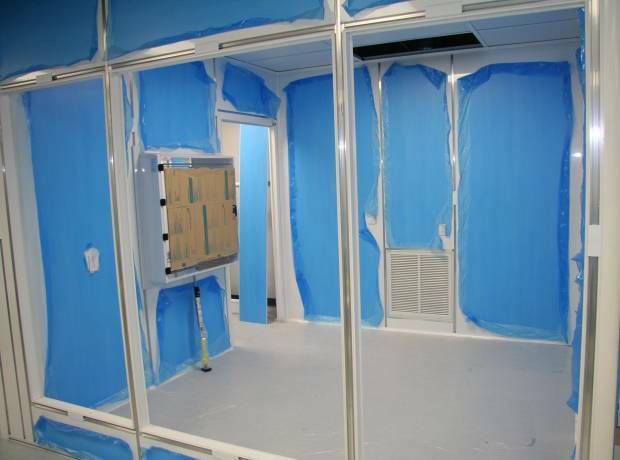 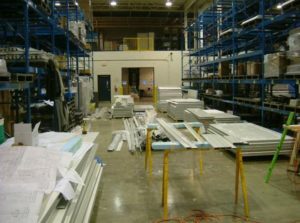 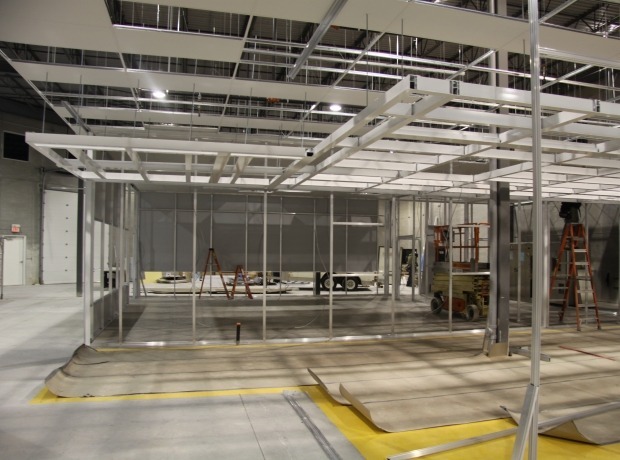 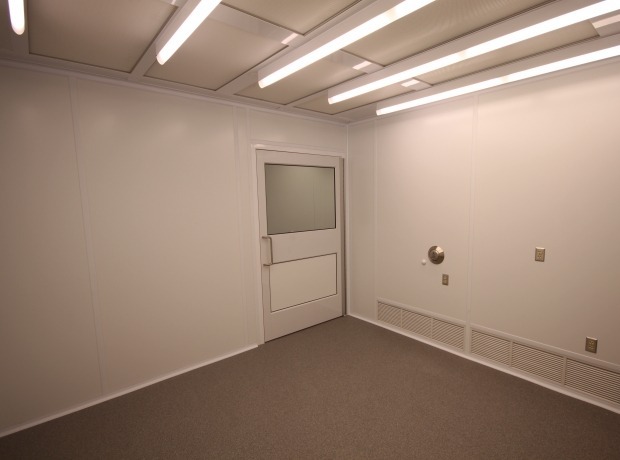 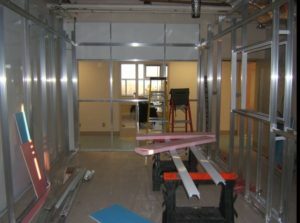 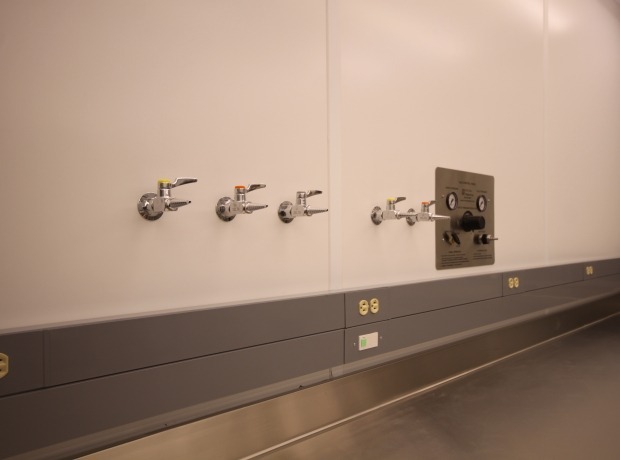 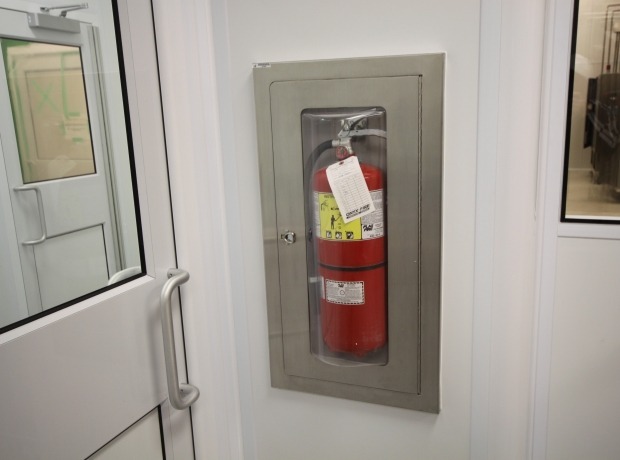 Trace Metals Cleanrooms require that the room construction does not add contamination from metal elements.